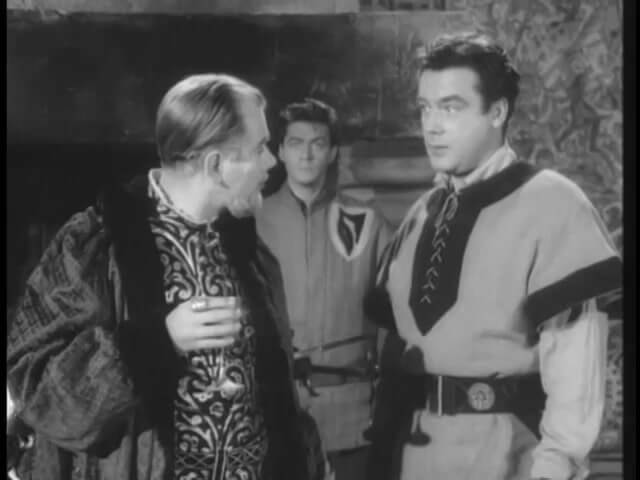 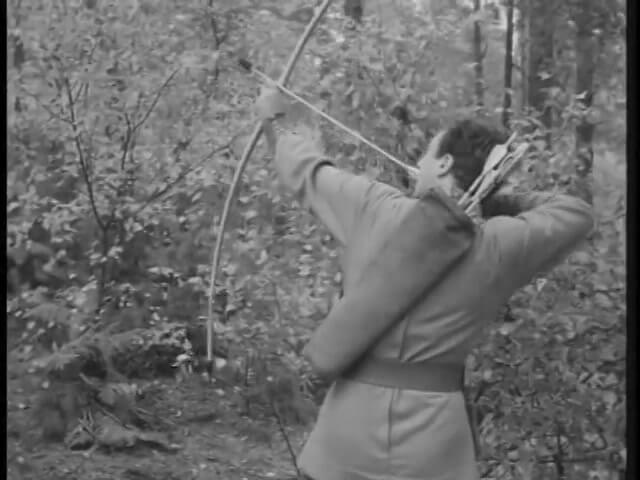 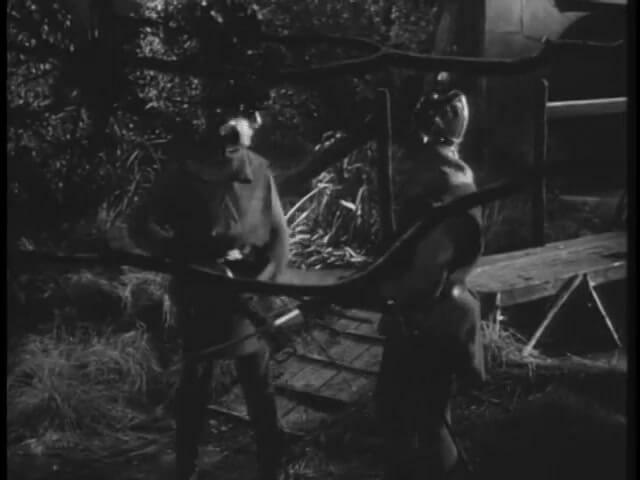 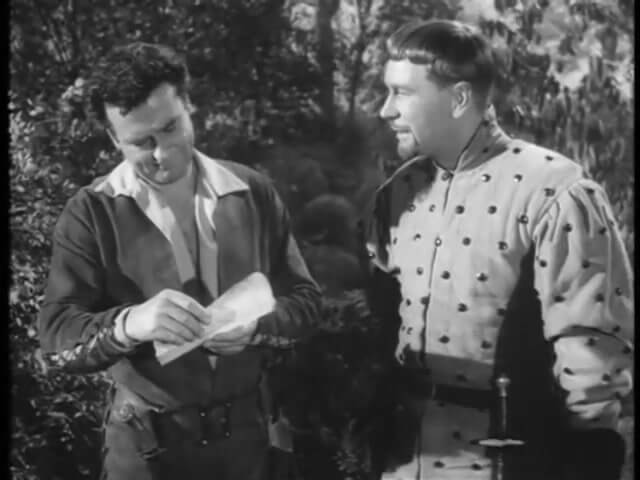 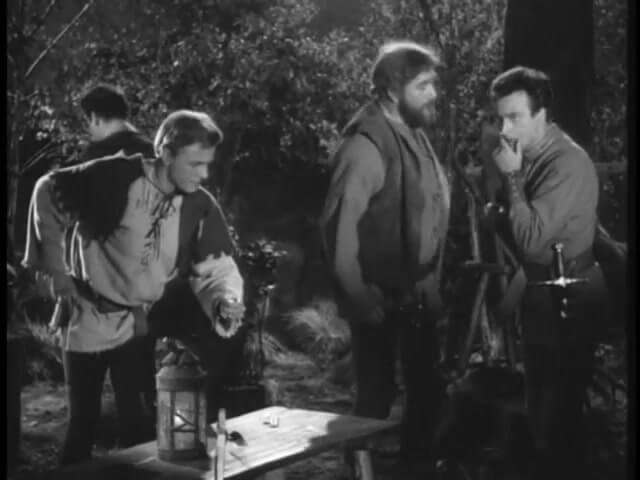 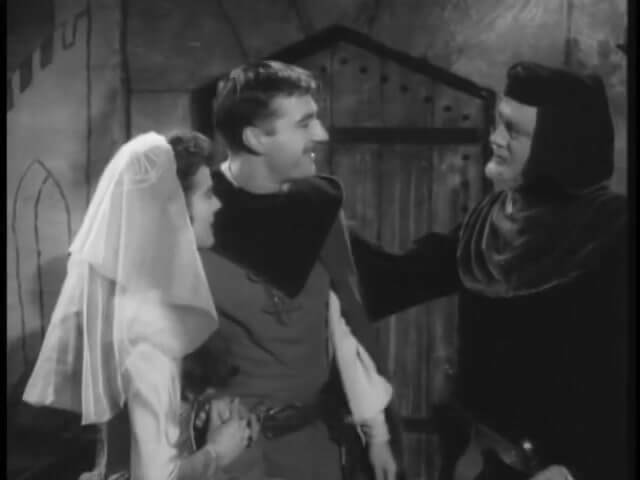 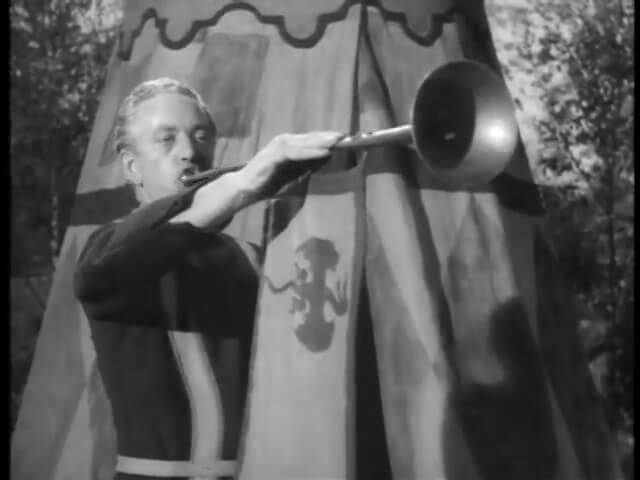 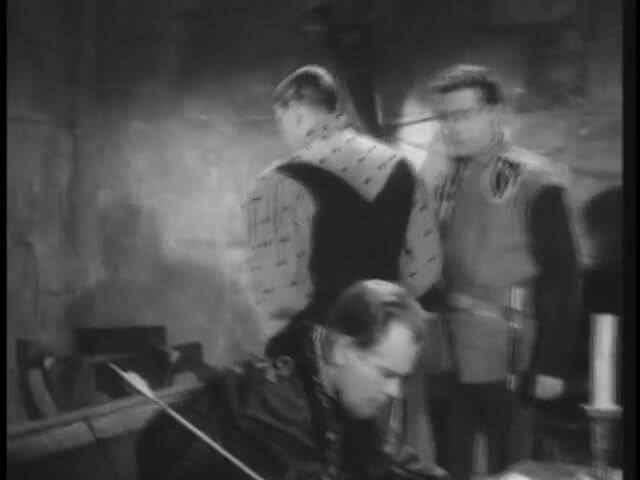 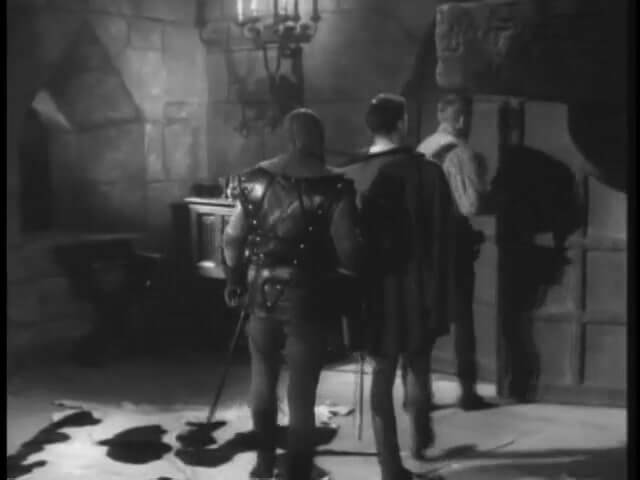 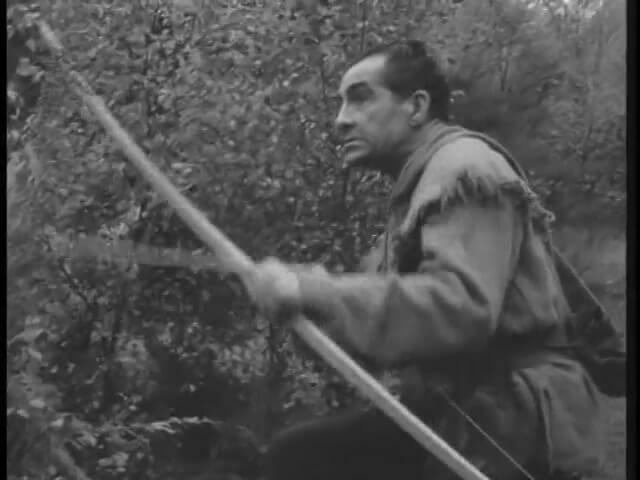 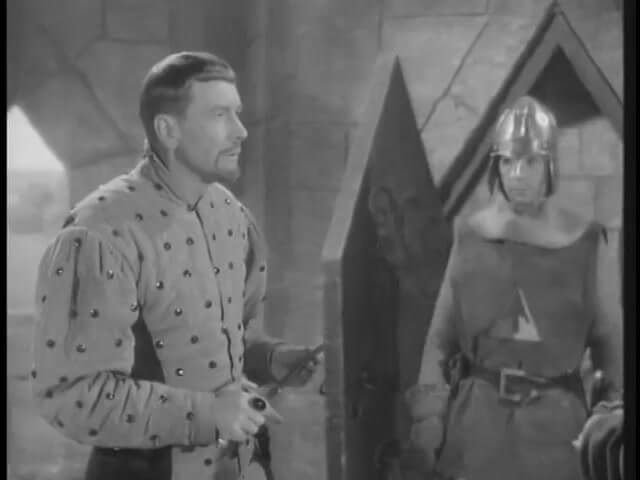 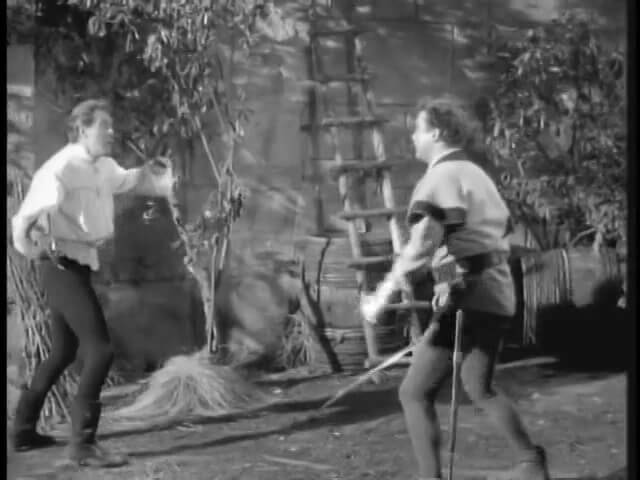 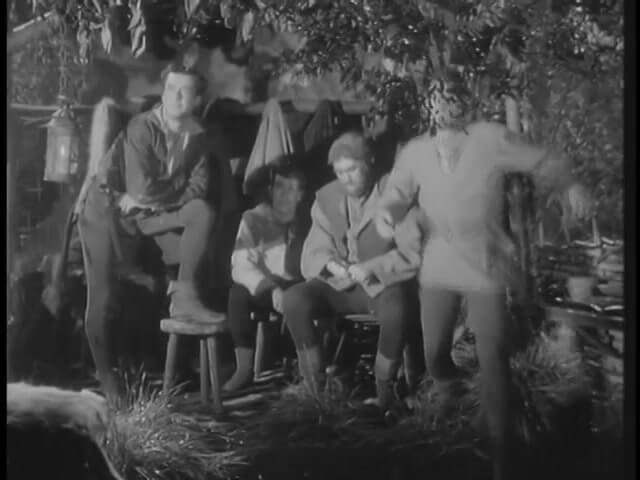 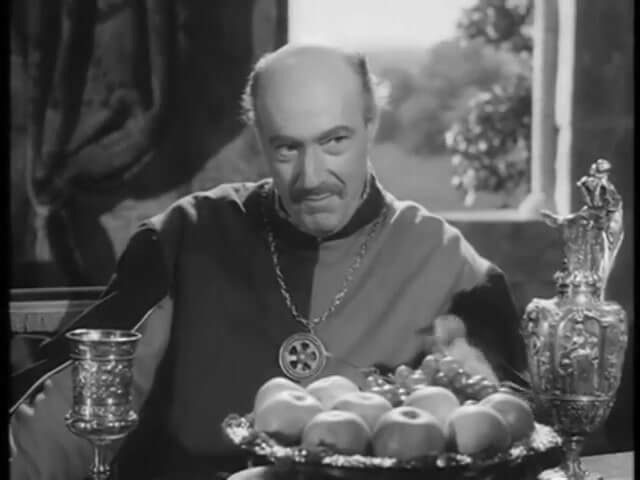 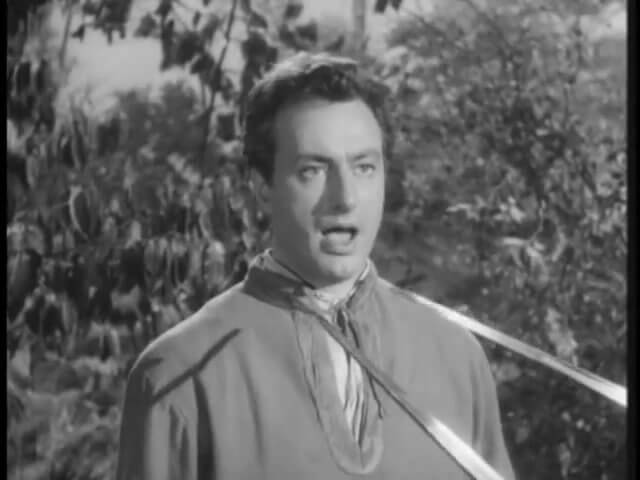 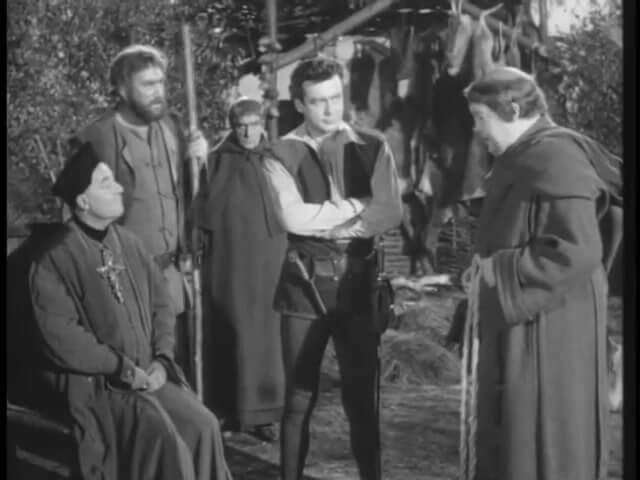 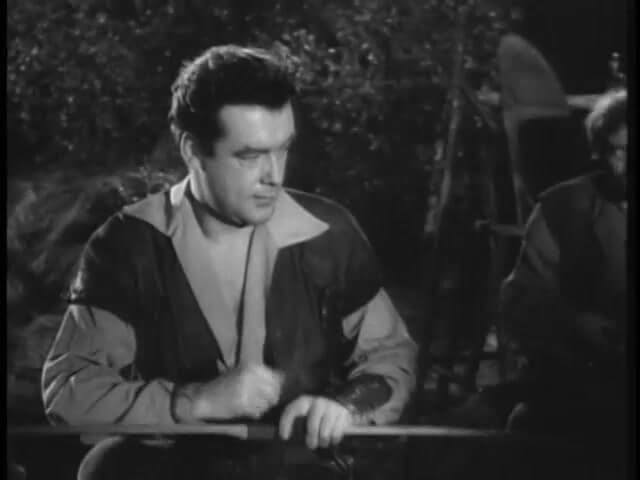 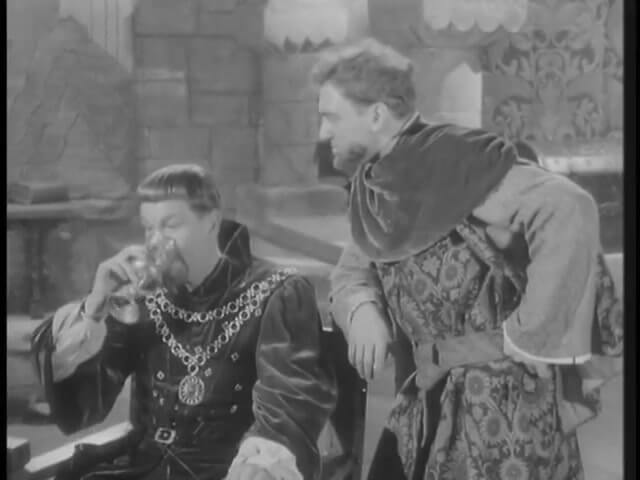 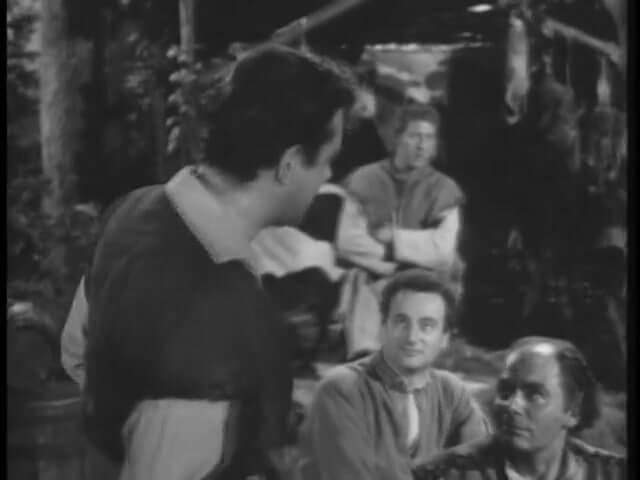 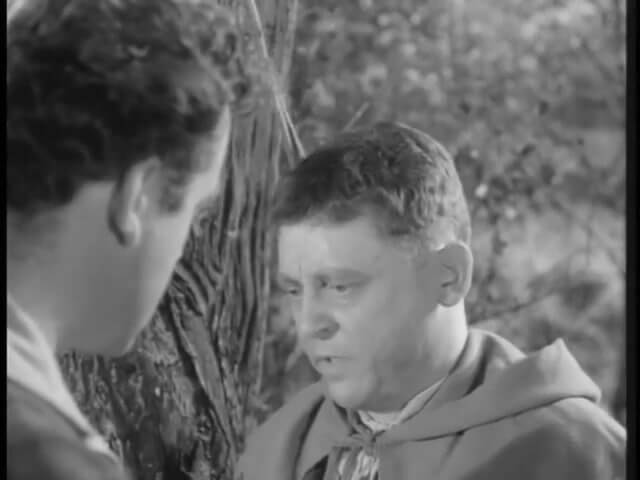 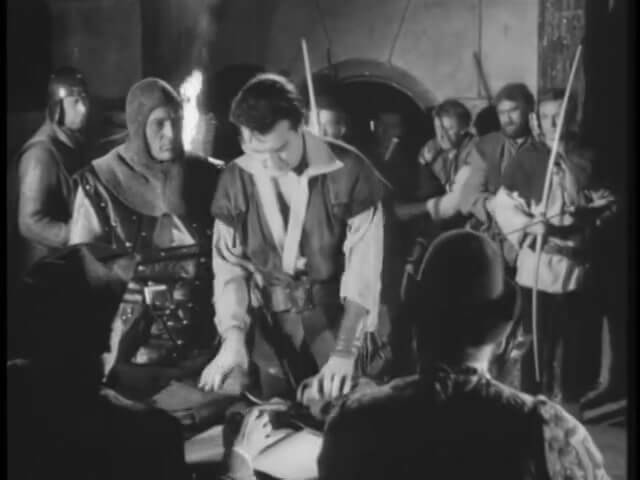 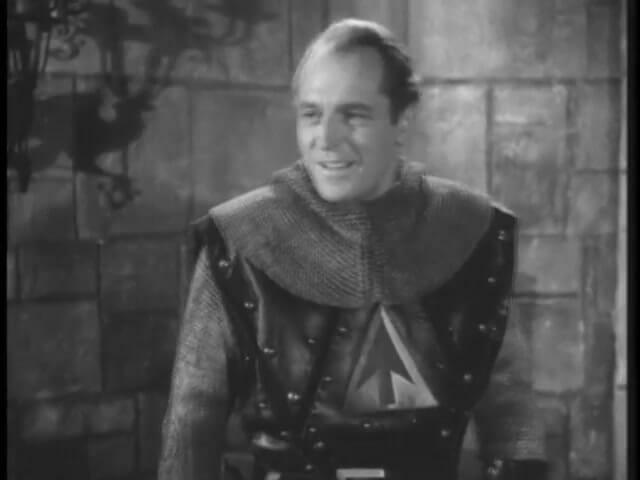 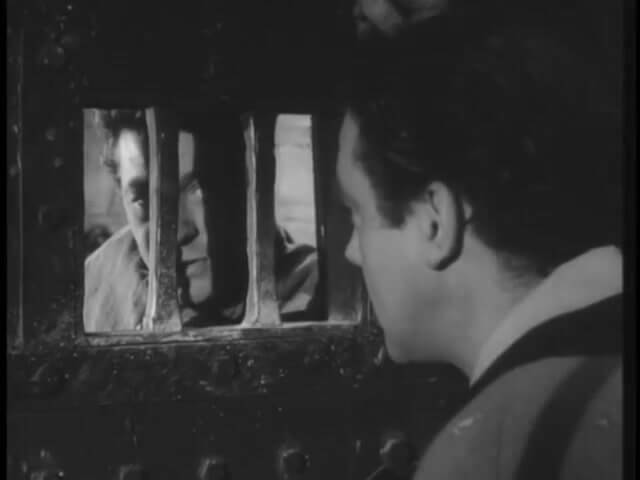 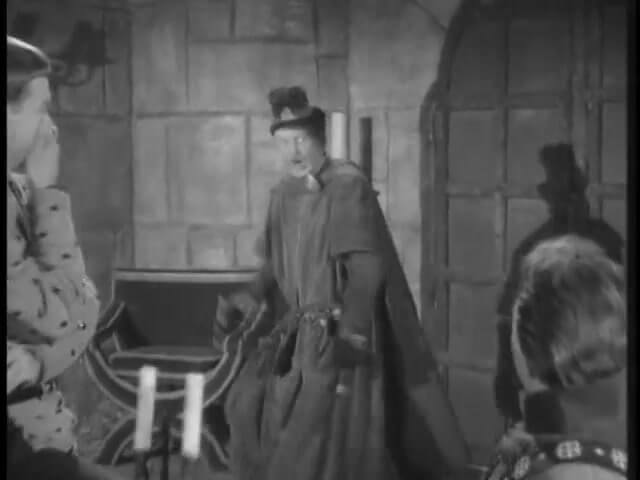 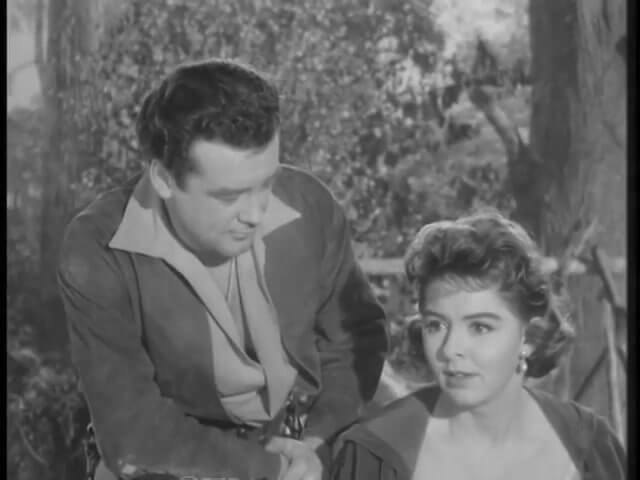 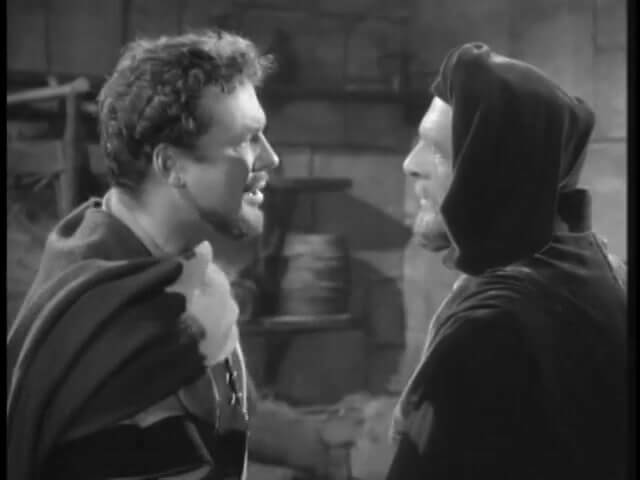 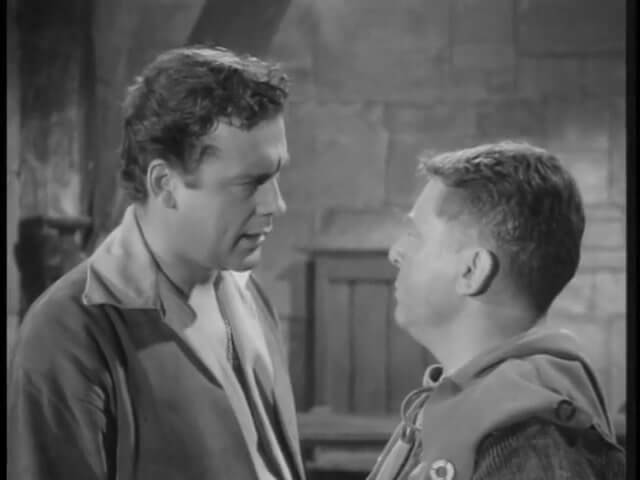 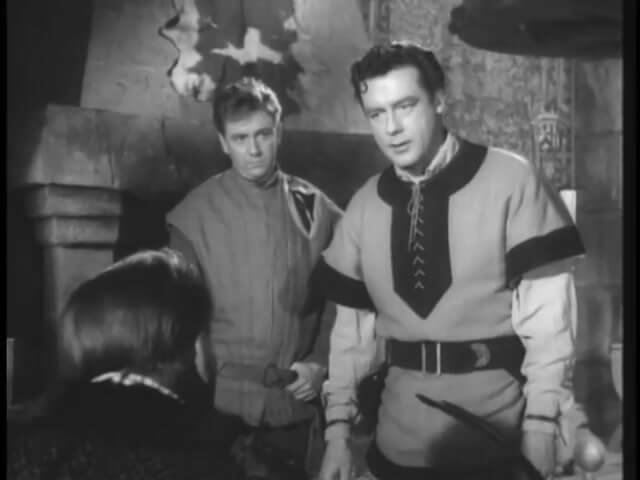 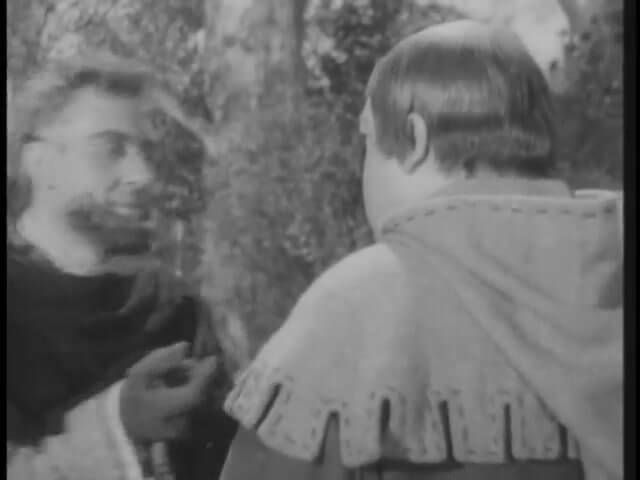 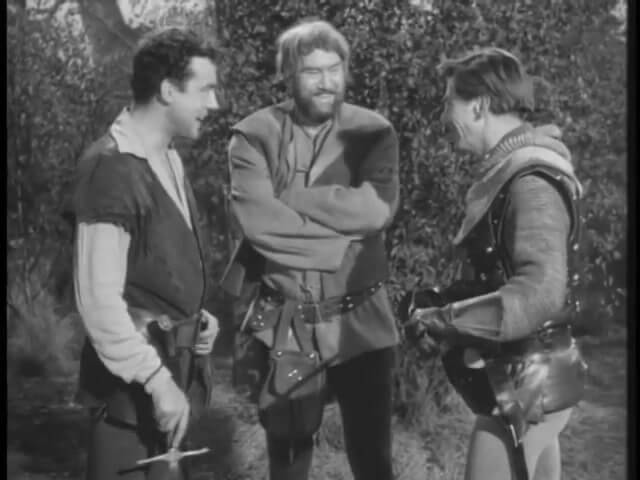 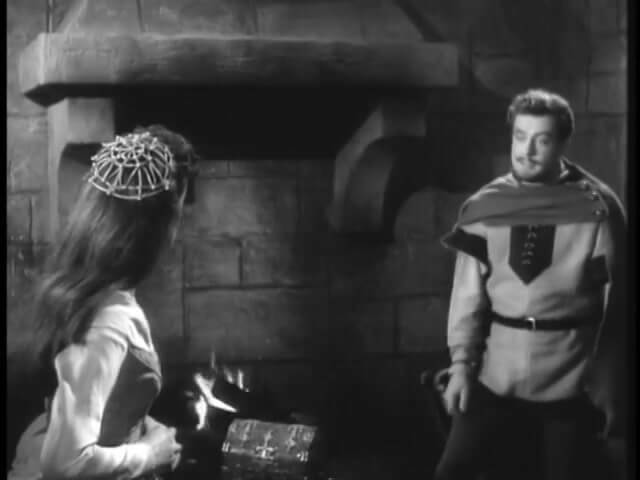 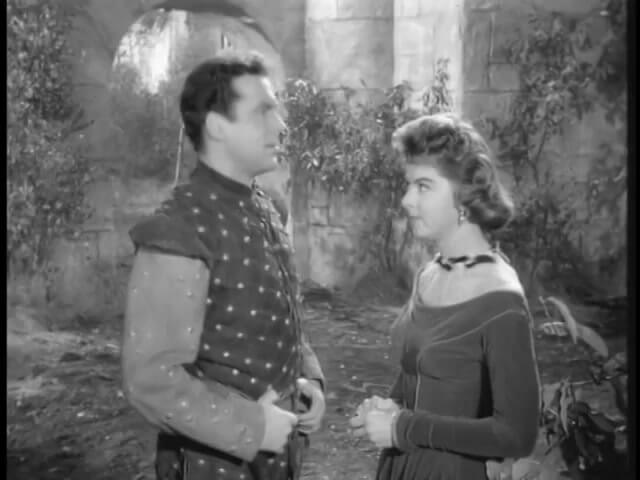 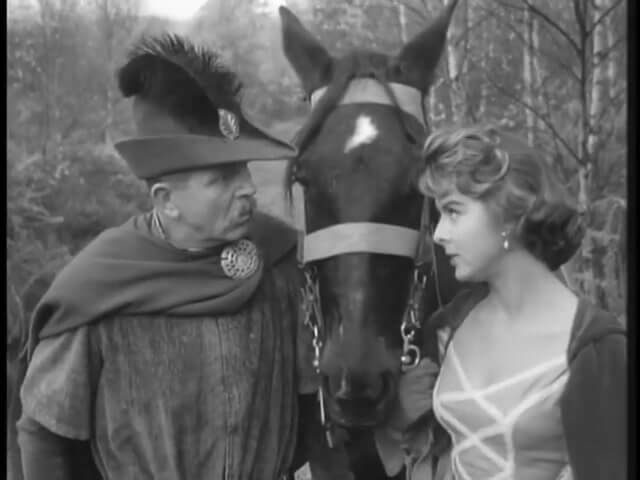 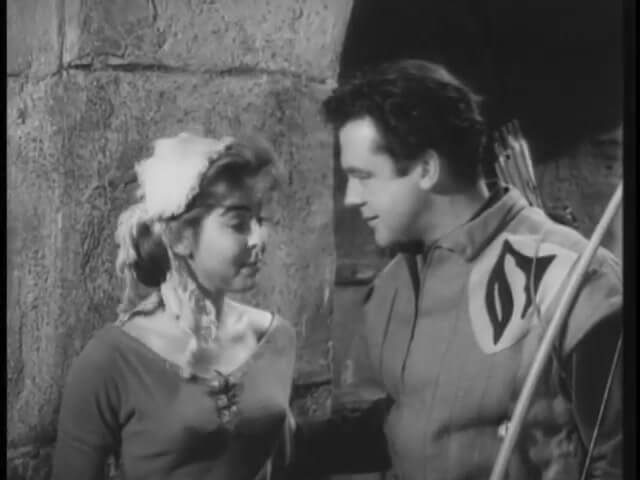 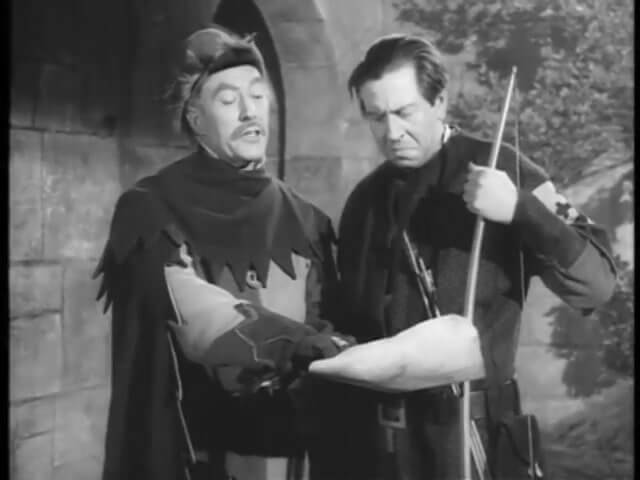 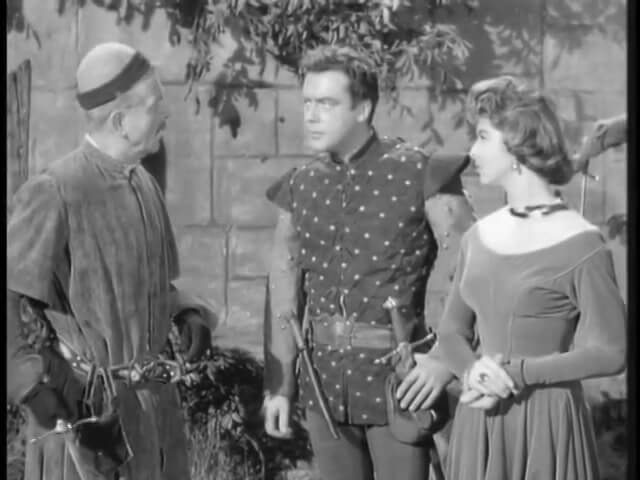 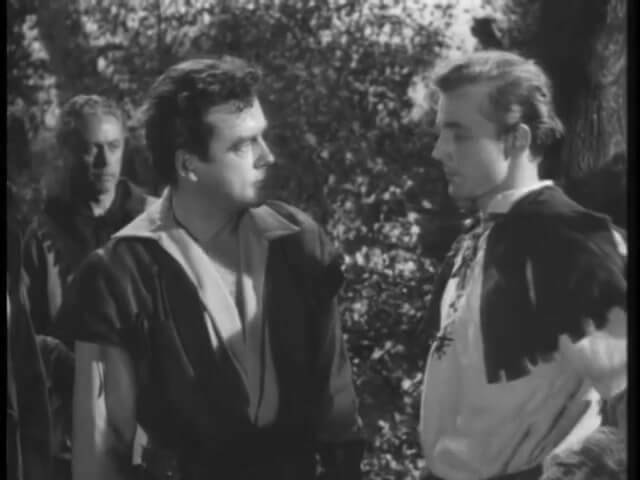 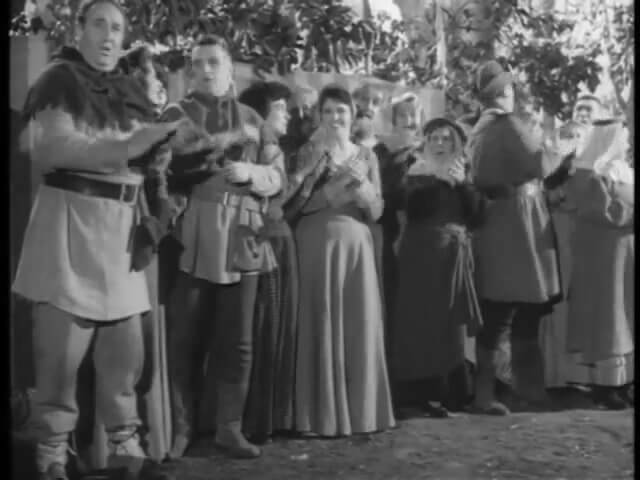 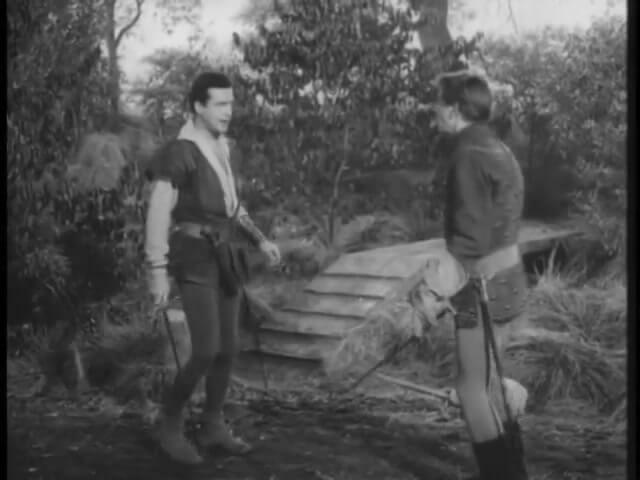 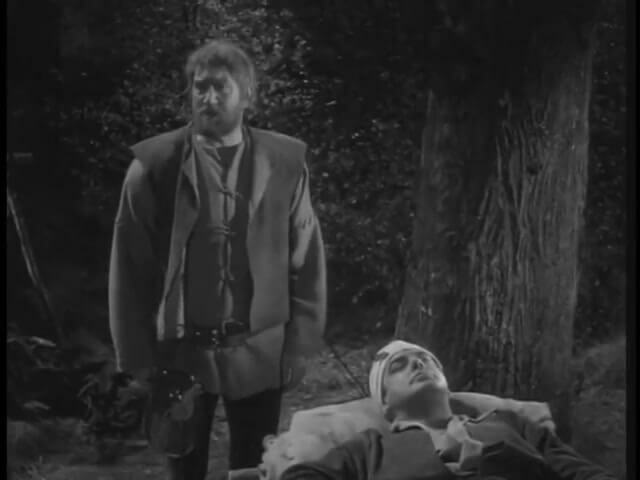 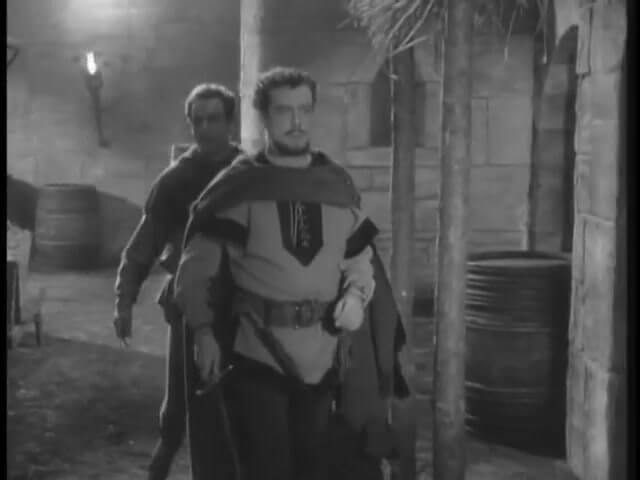 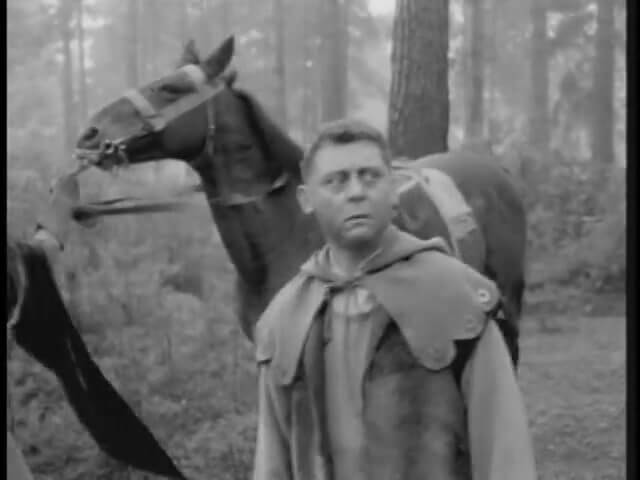 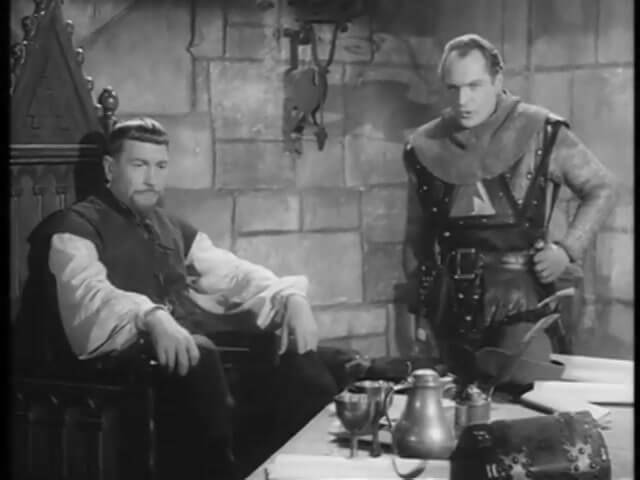 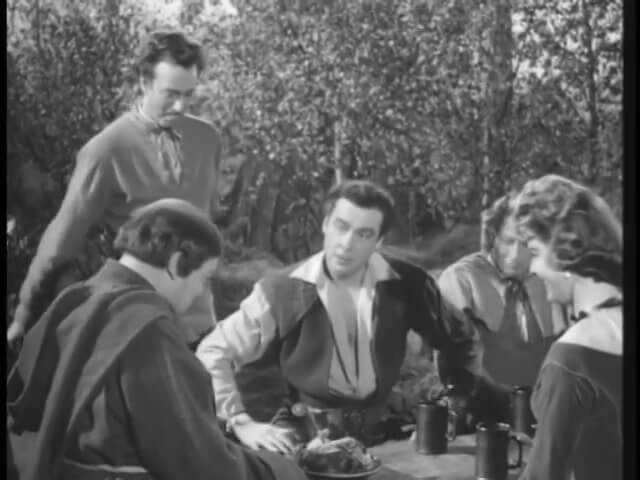 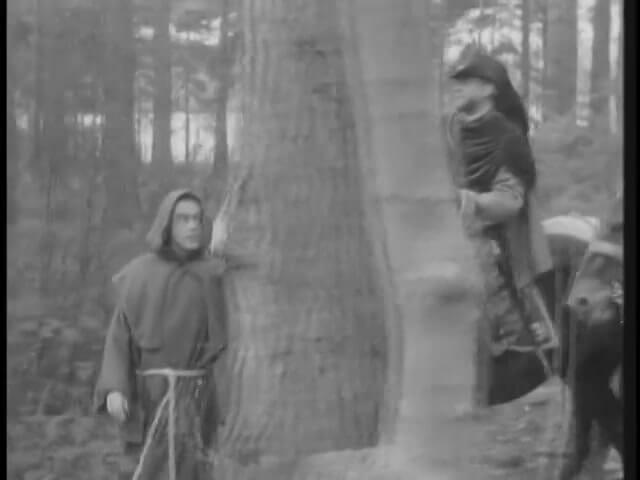 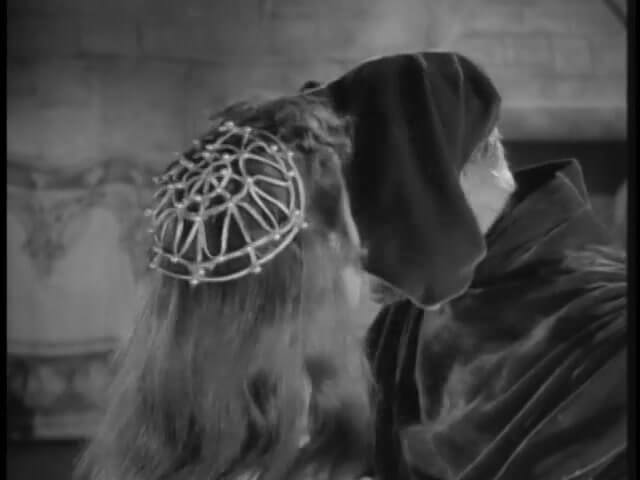 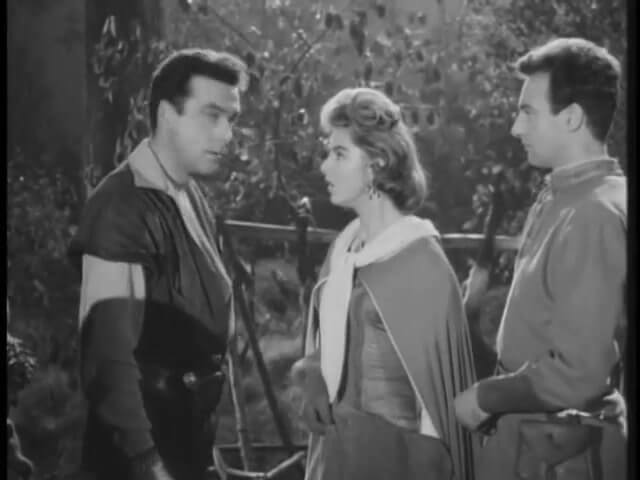 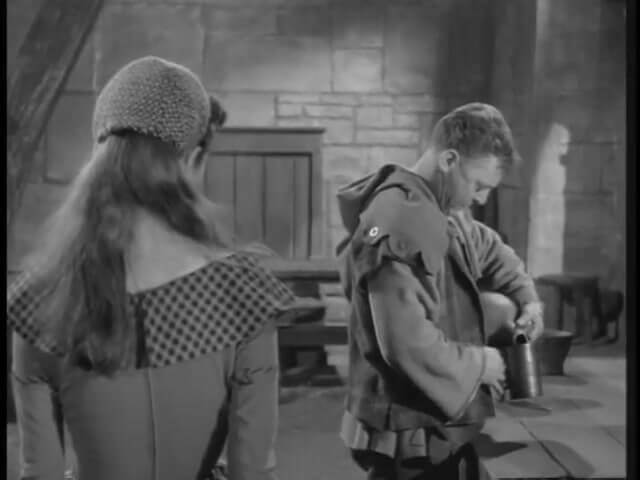 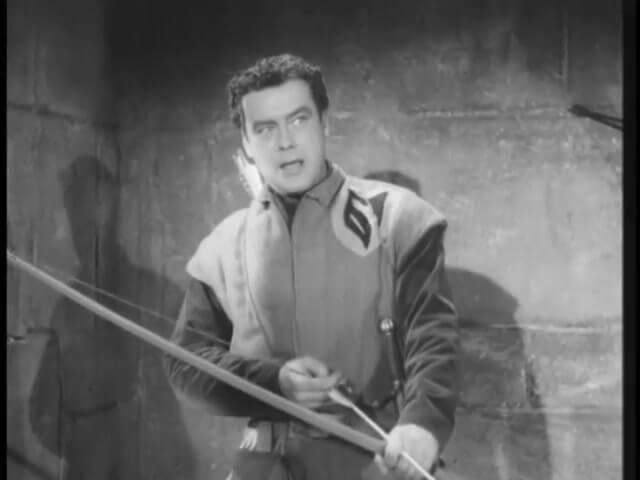 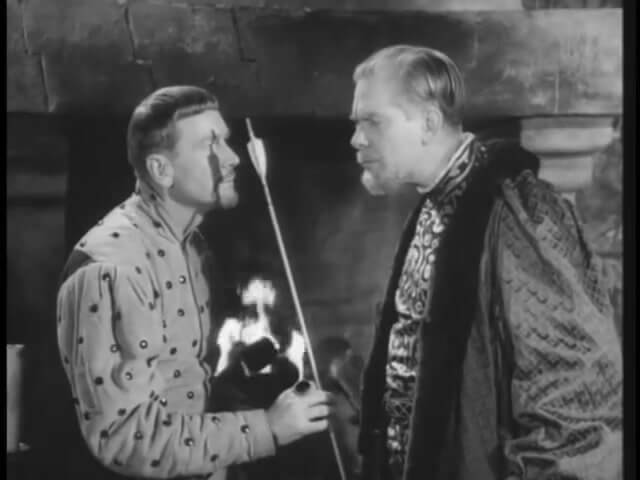 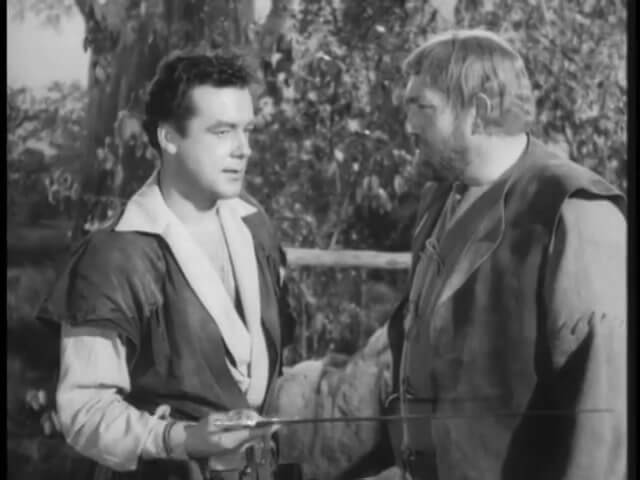 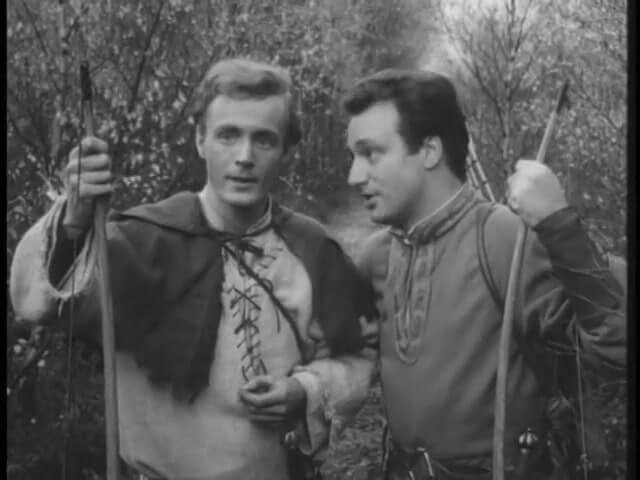 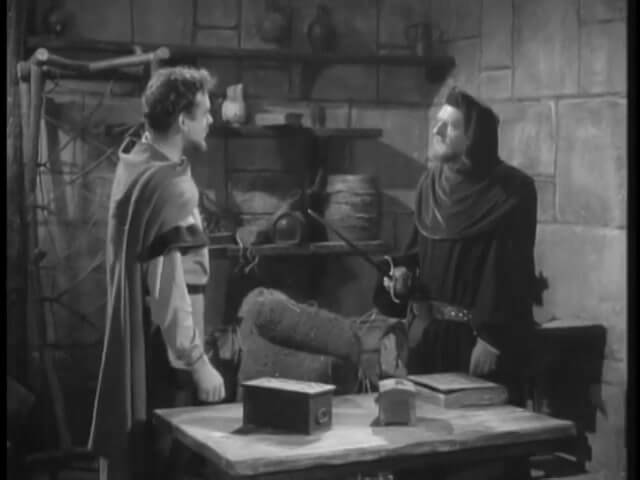 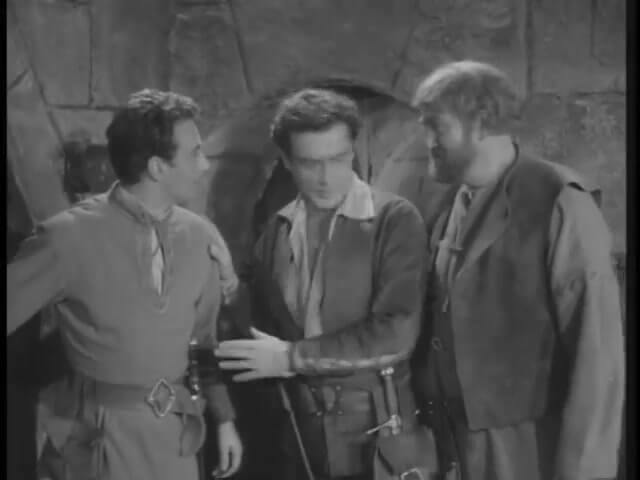 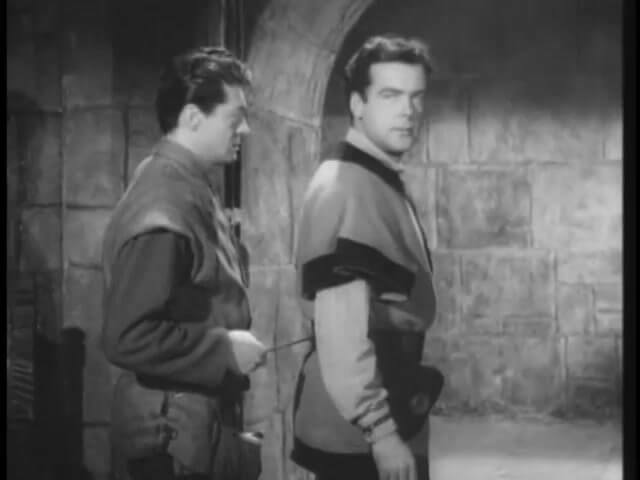 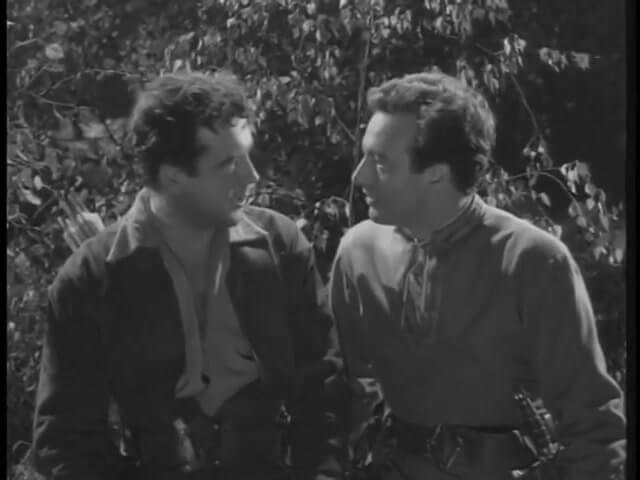 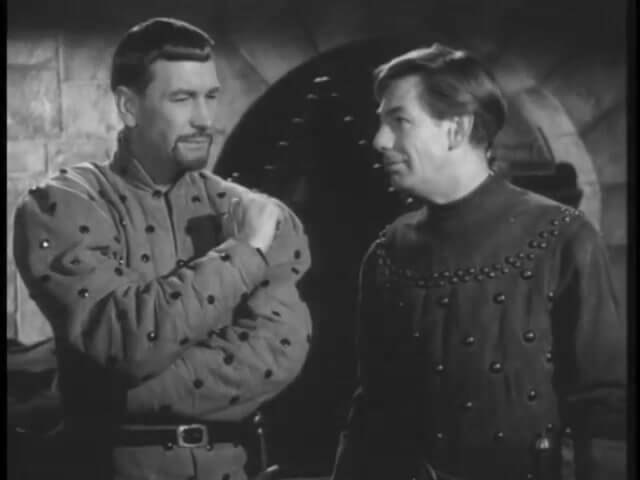 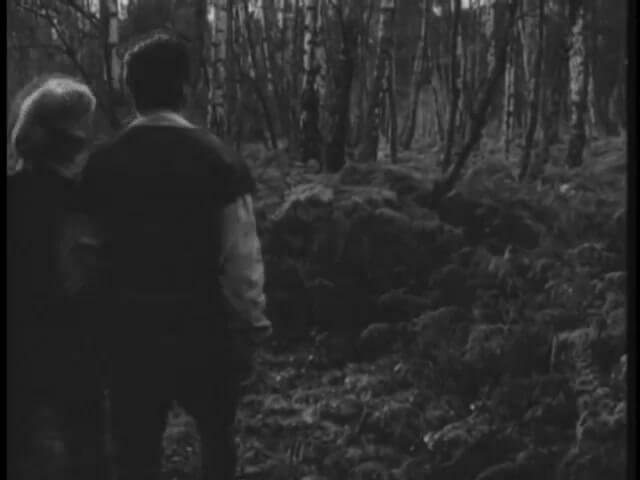 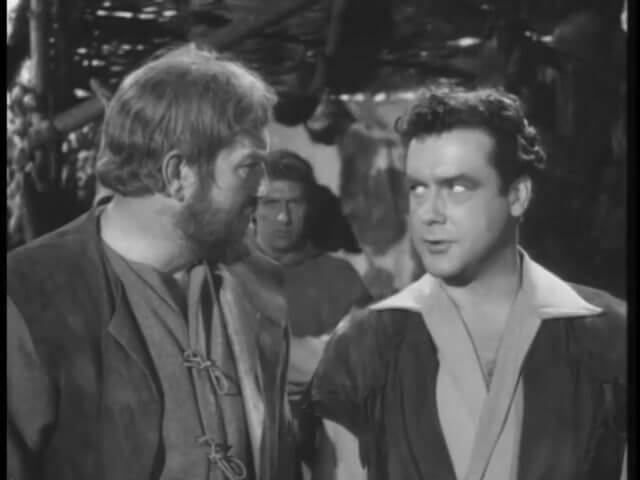 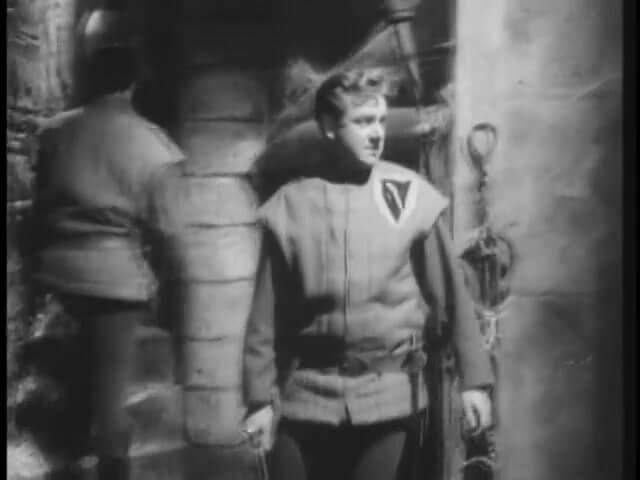 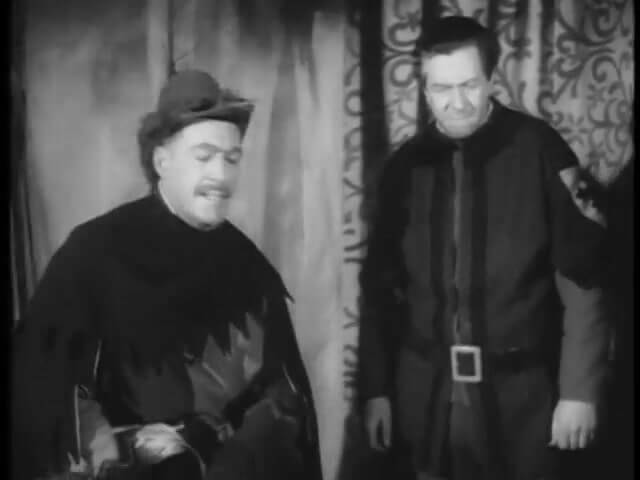 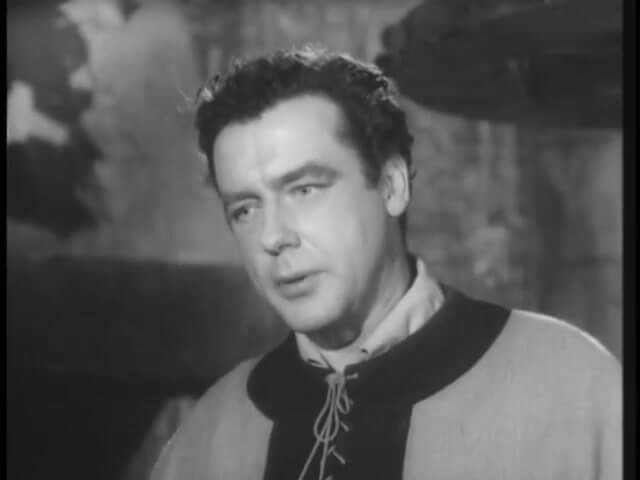 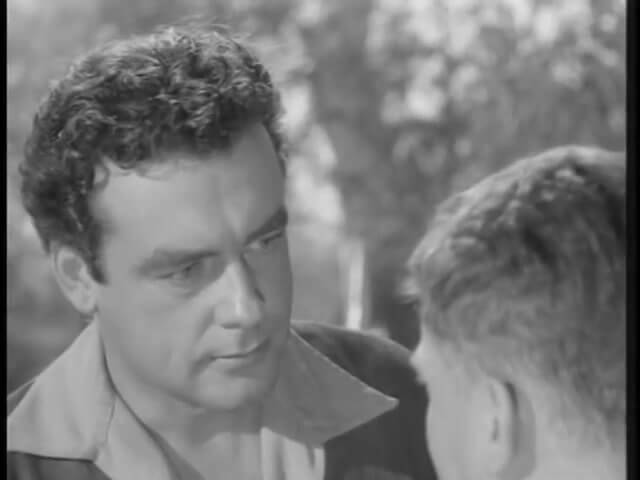 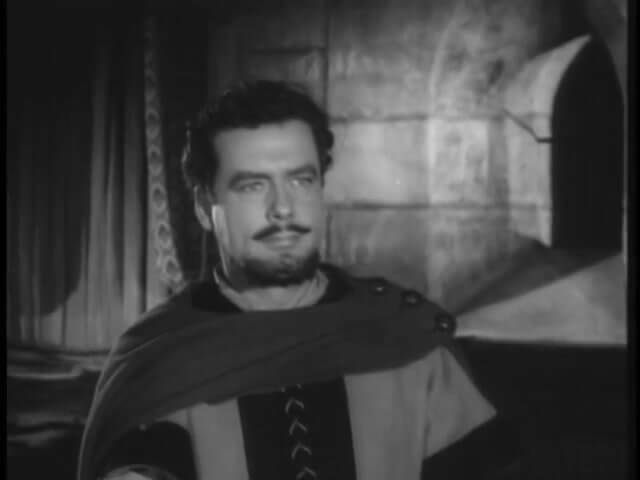 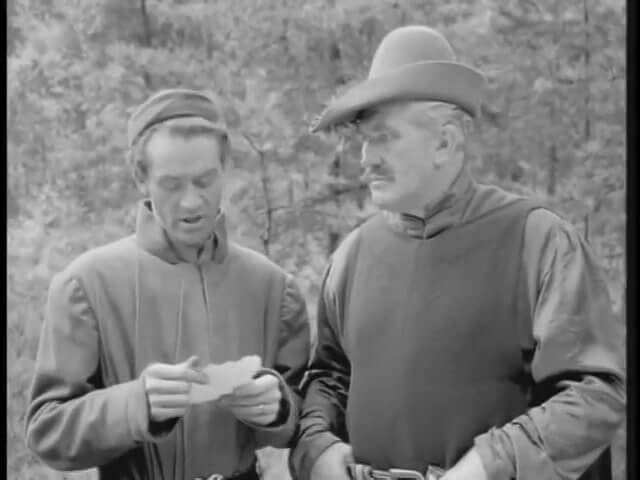 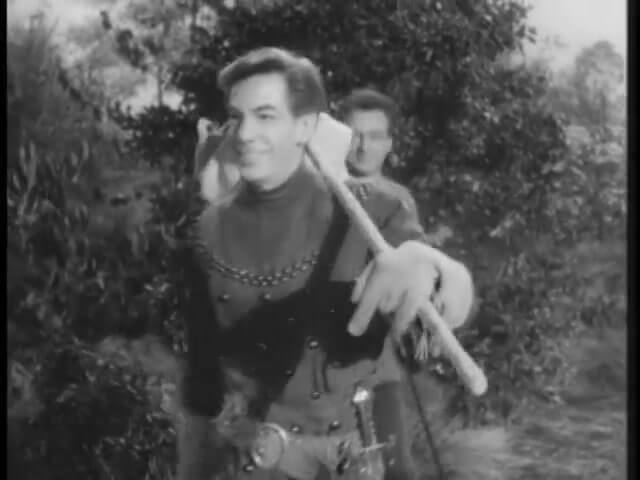 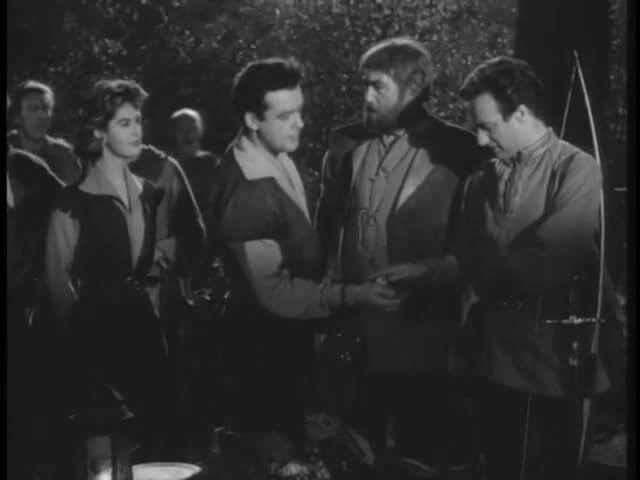 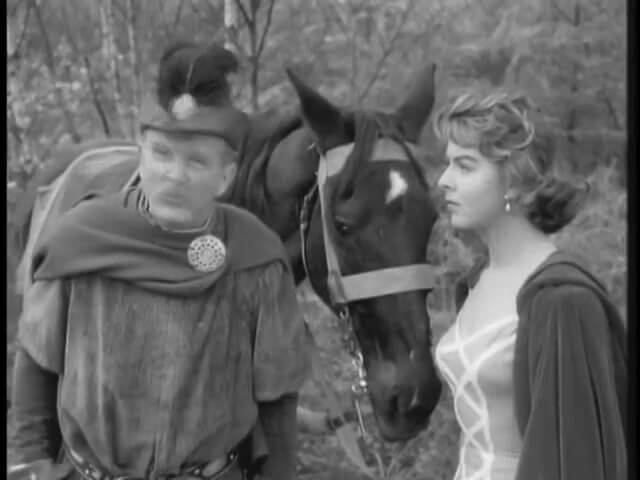 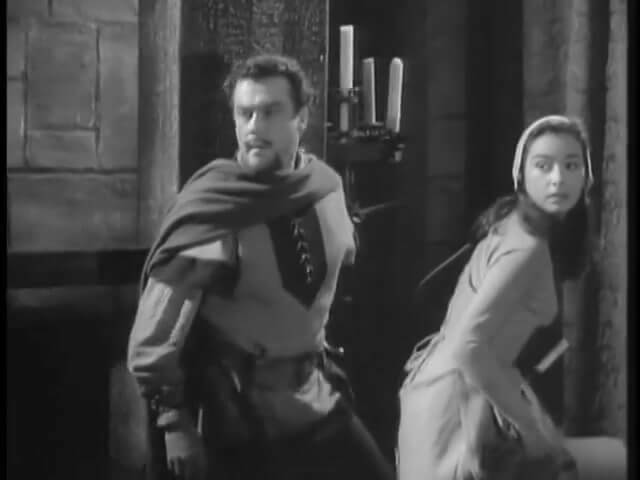 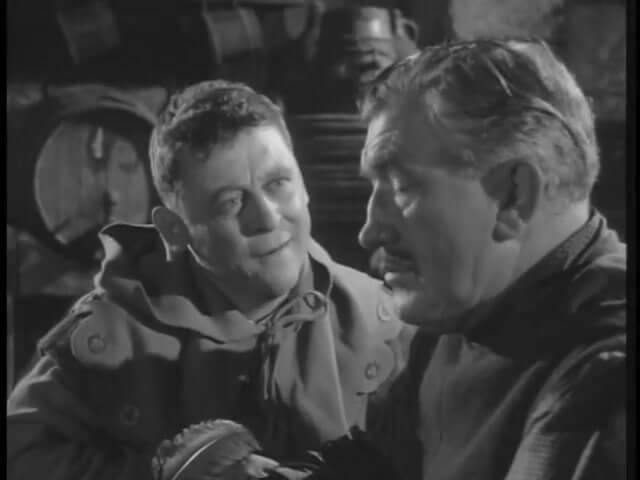 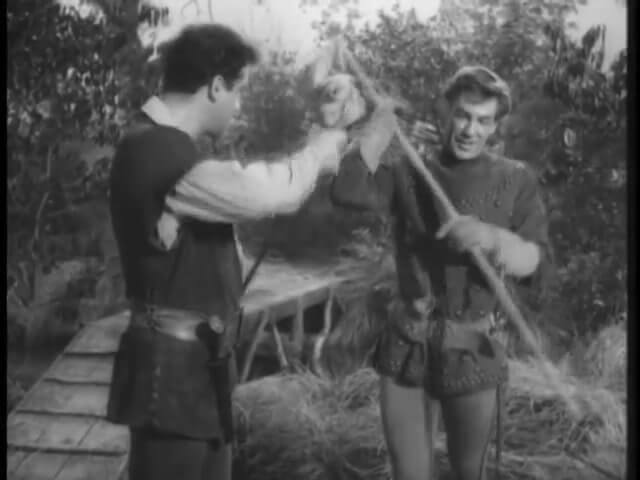 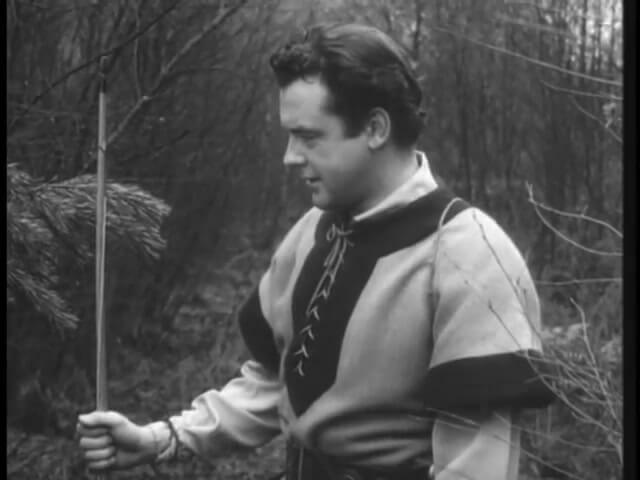 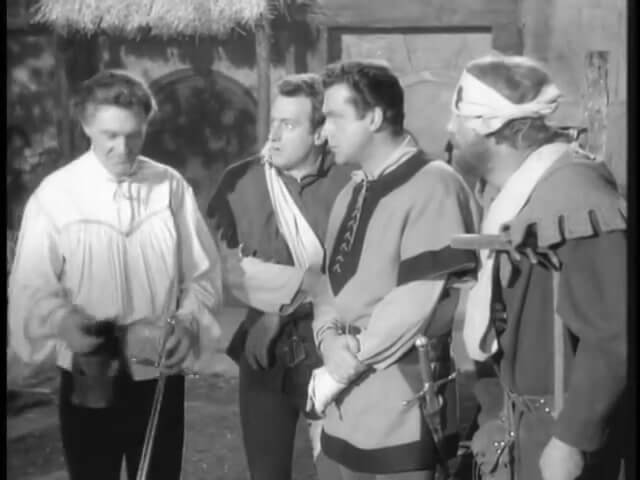 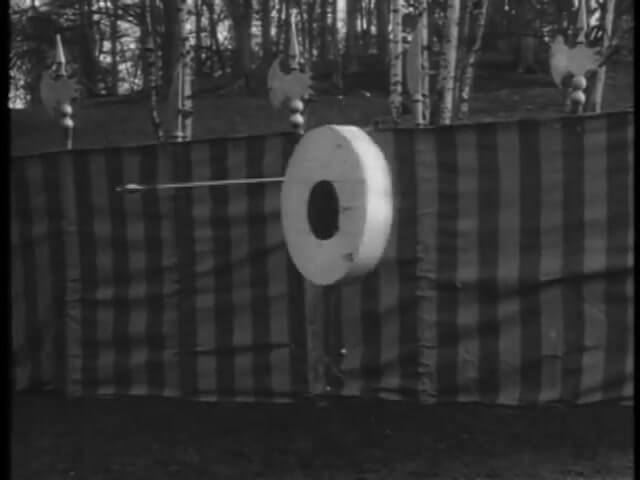 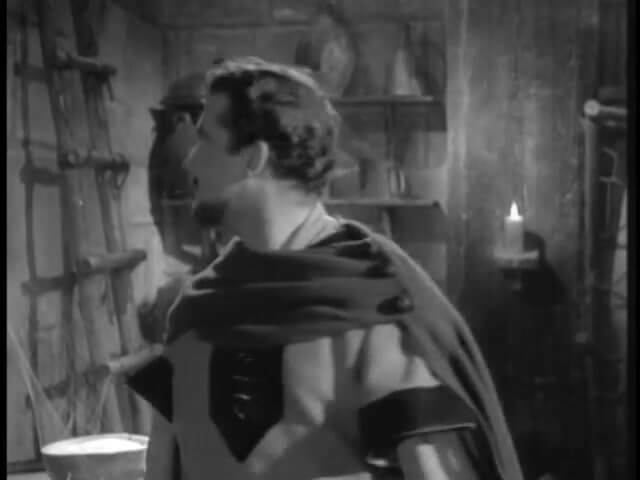 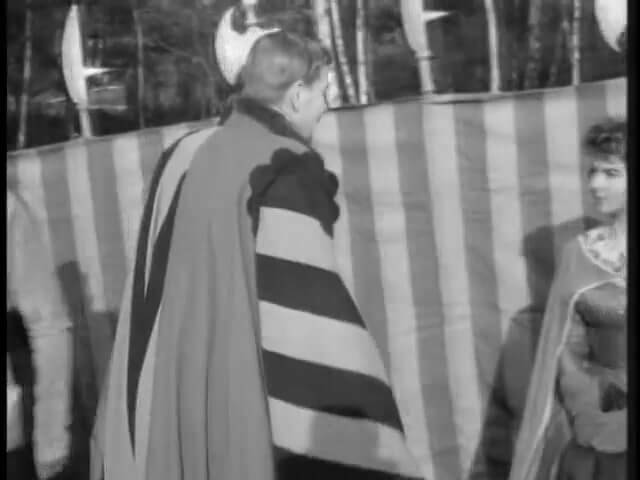 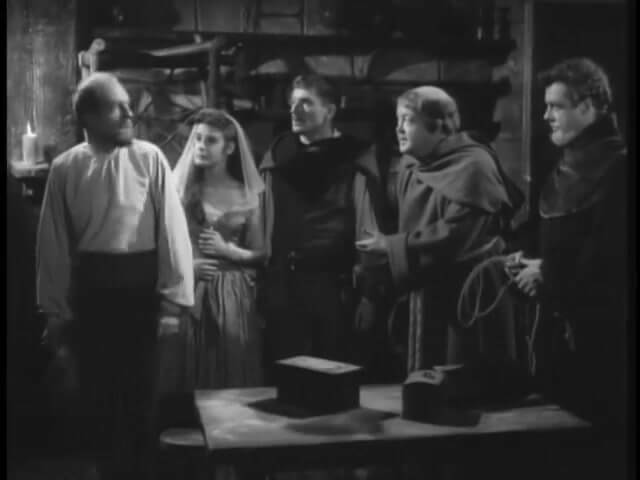 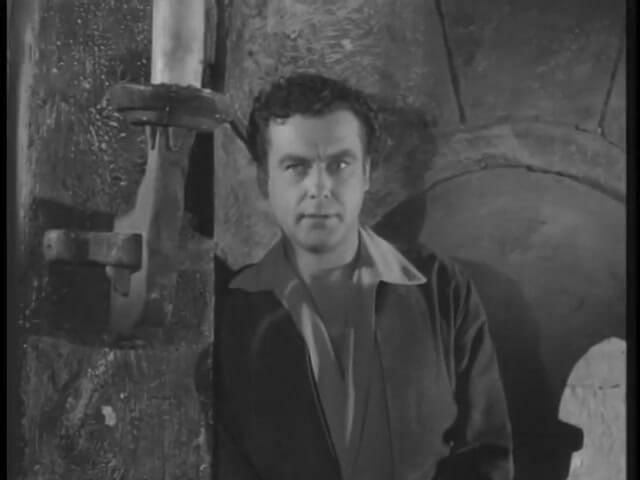 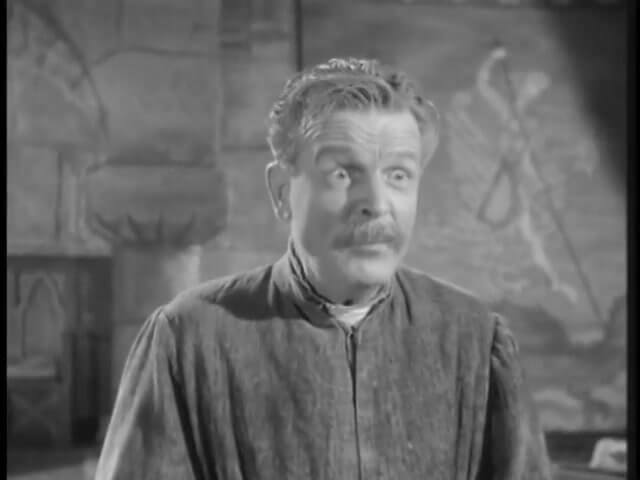 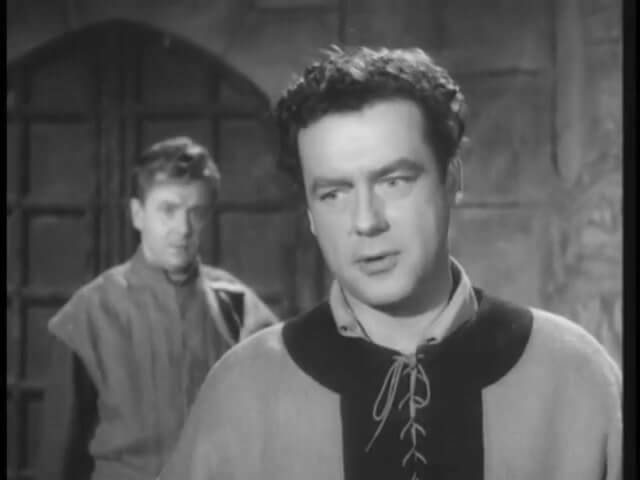 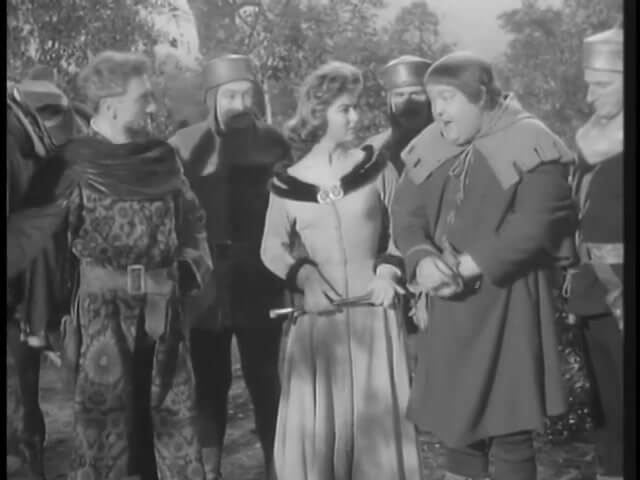 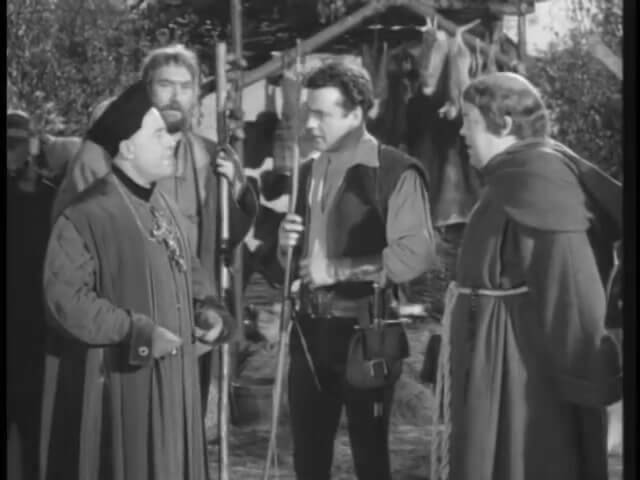 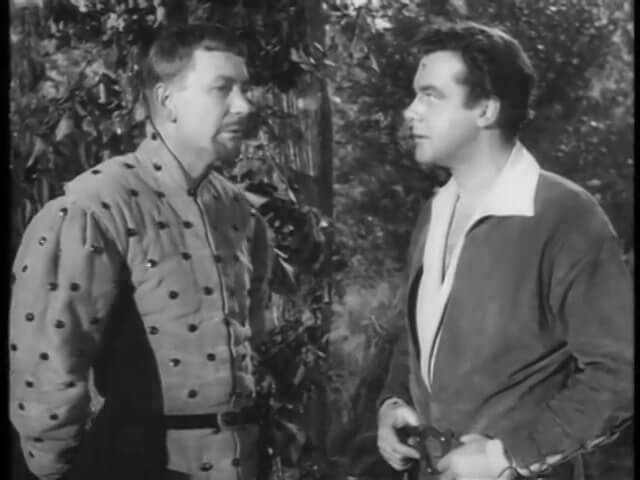 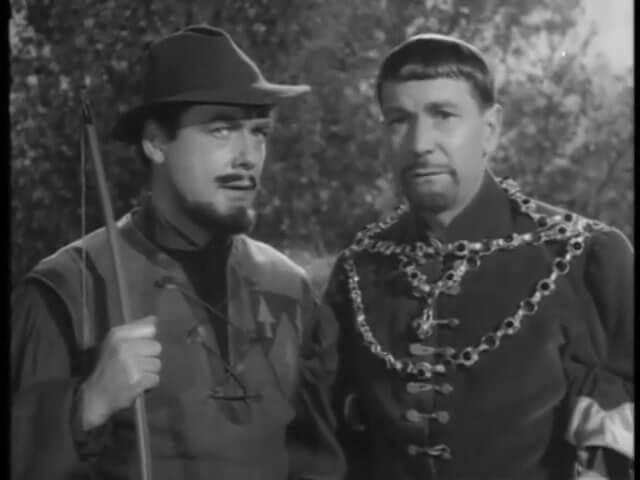 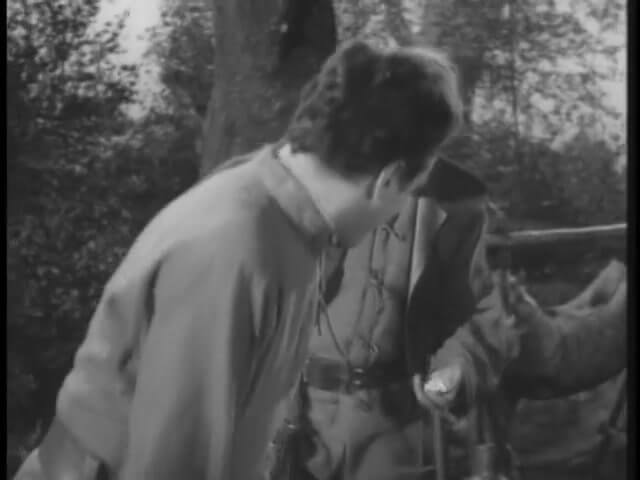 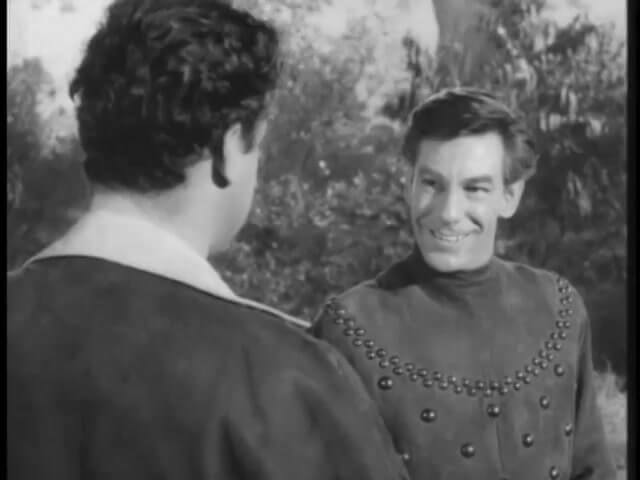 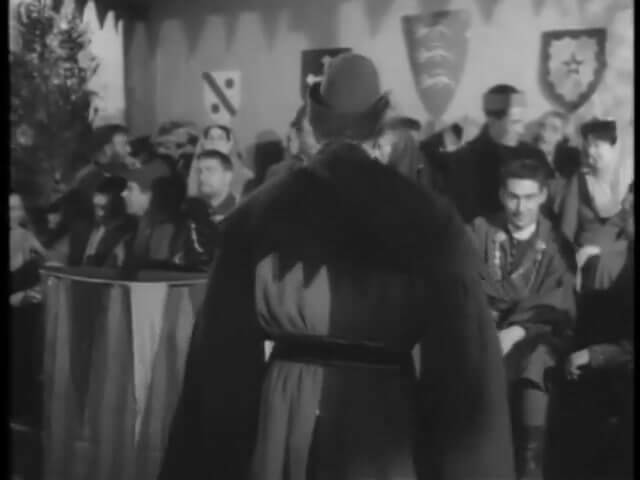 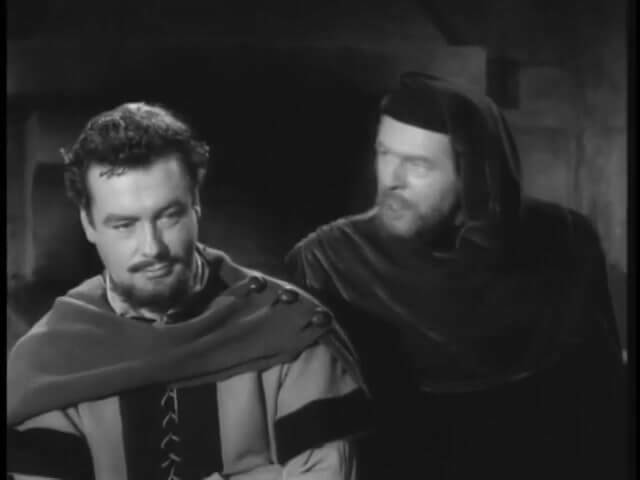 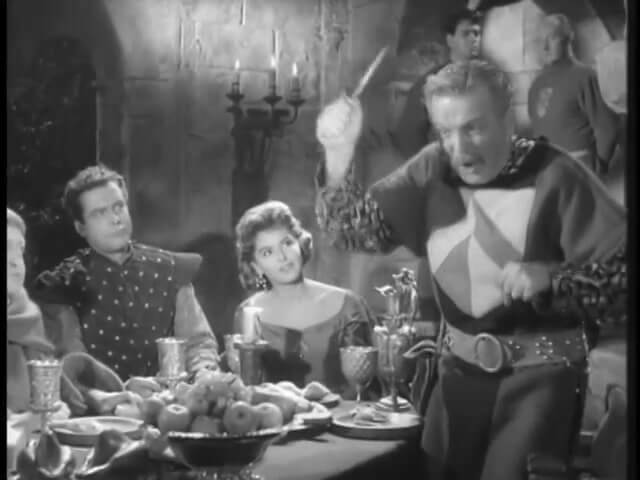 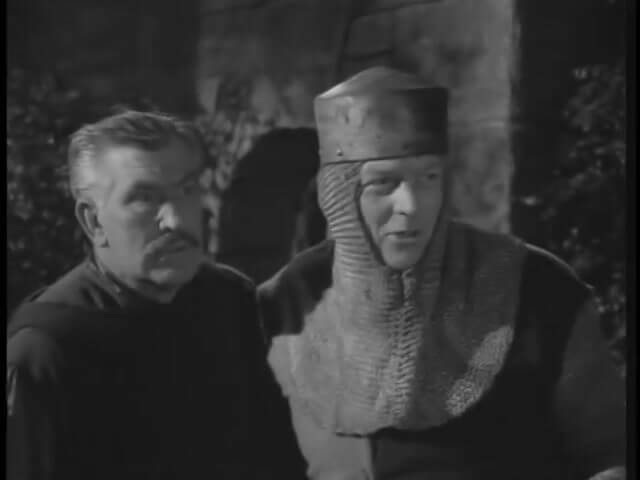 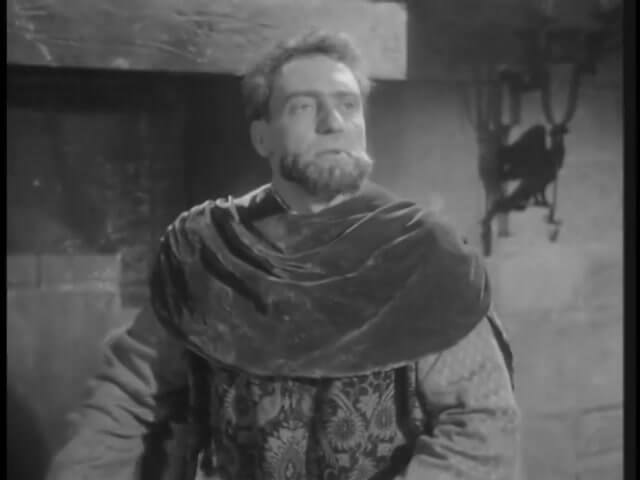 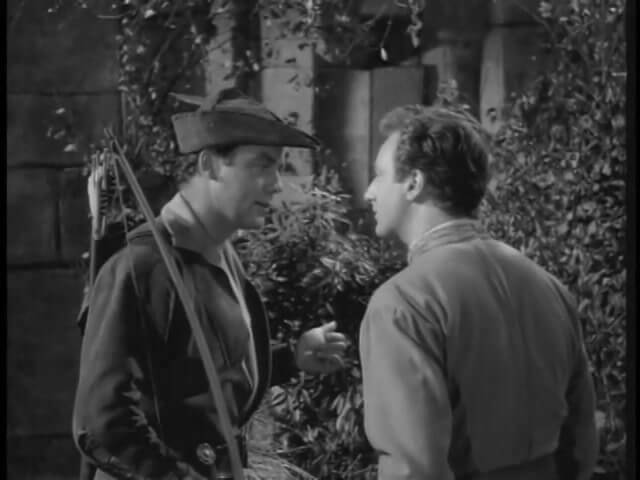 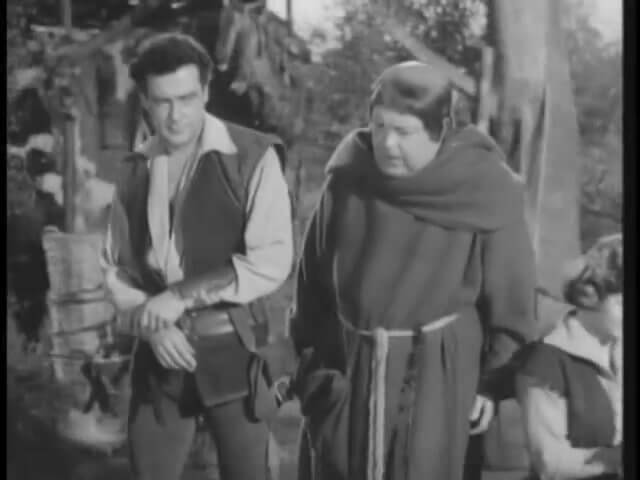 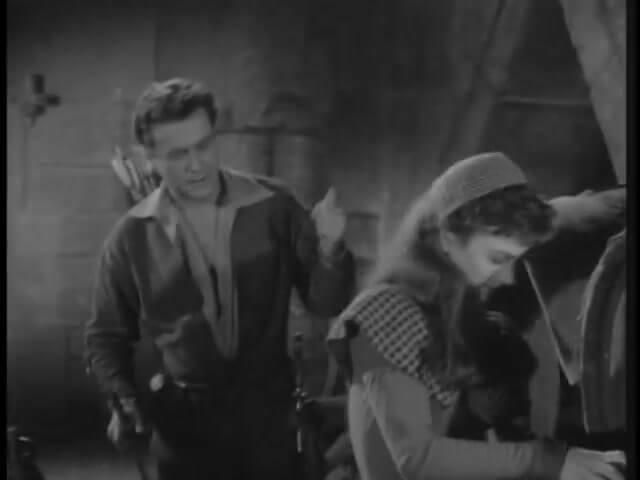 The Deputy Sheriff, usually hostile to Robin Hood, sends a message to Sherwood declaring a truce. 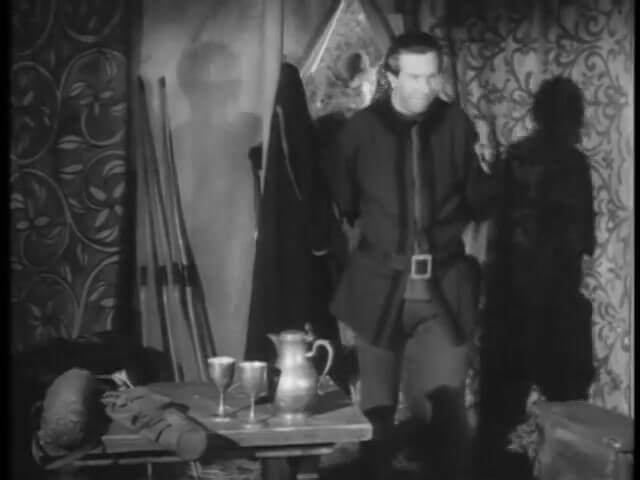 Out of necessary, he requires the outlaws’ help. 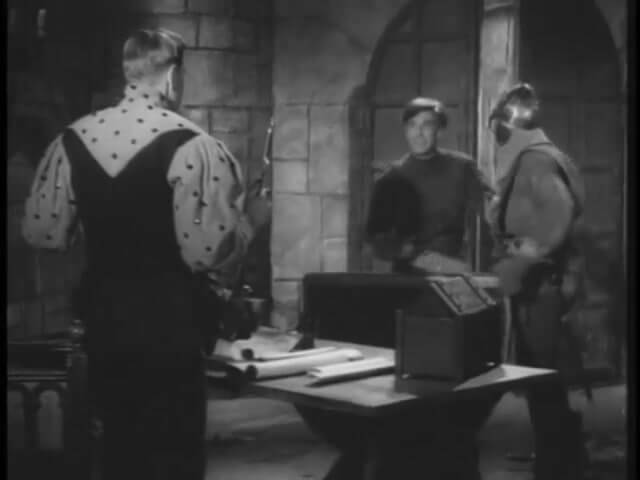 Robin, suspecting treachery, formulates a plan of campaign. 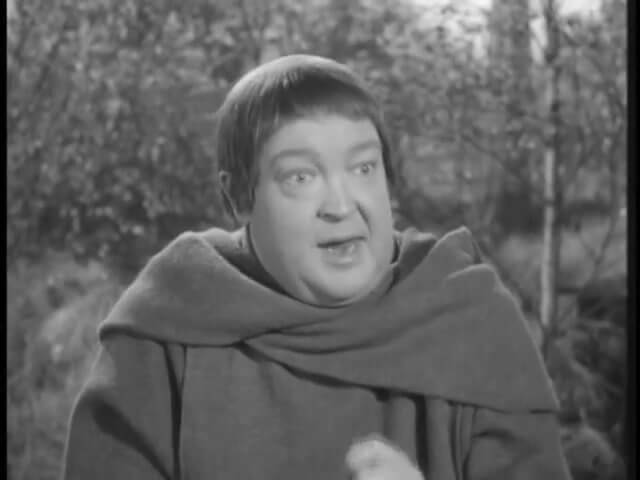 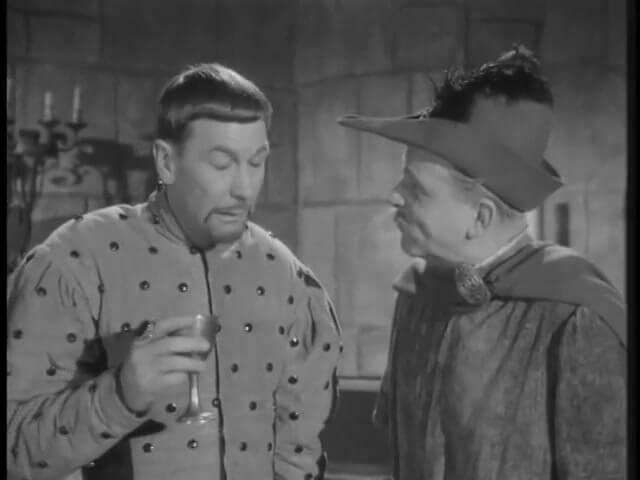 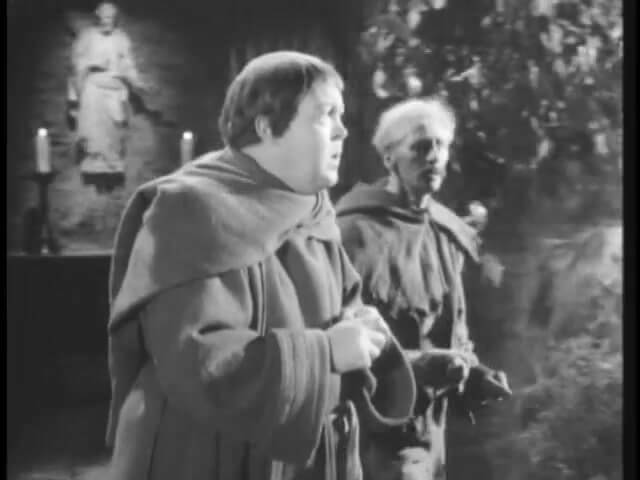 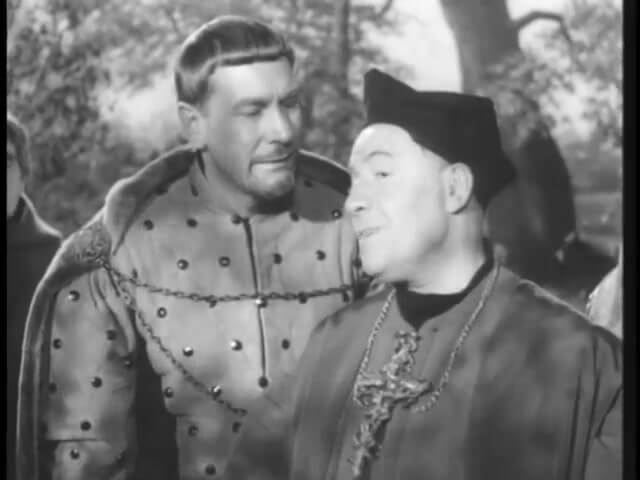 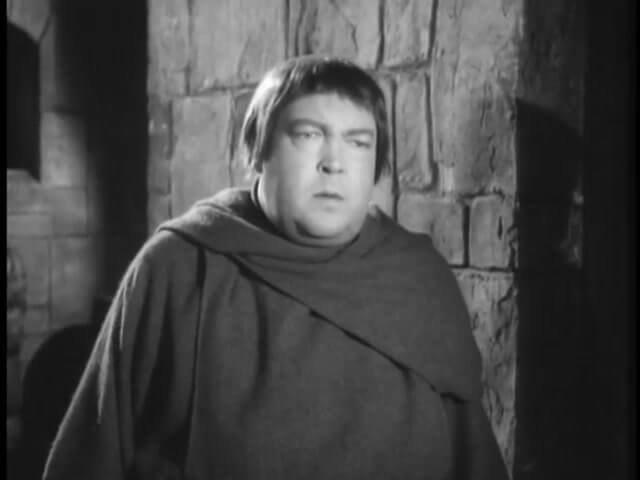 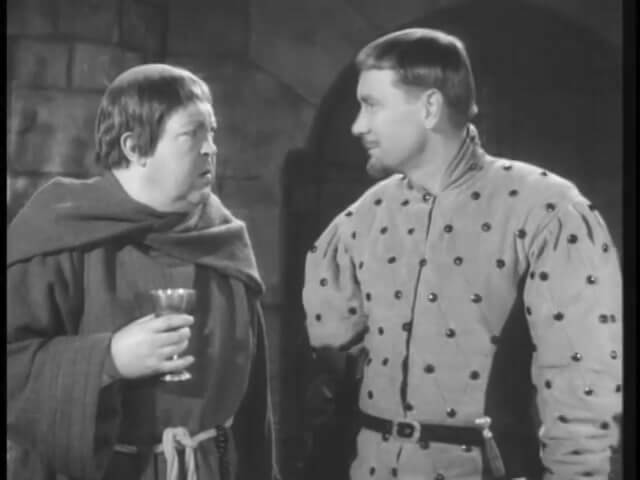 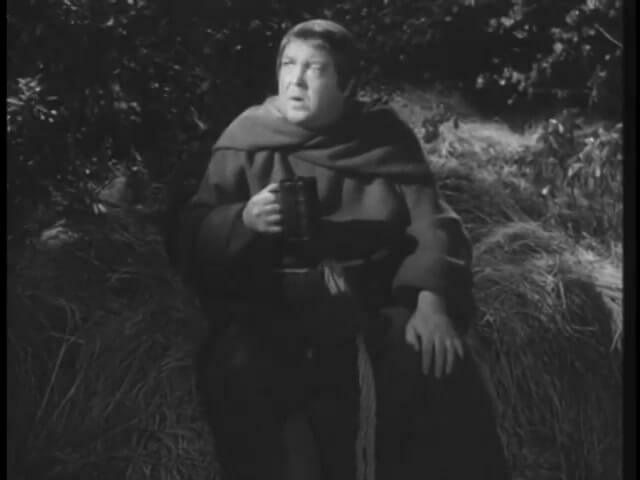 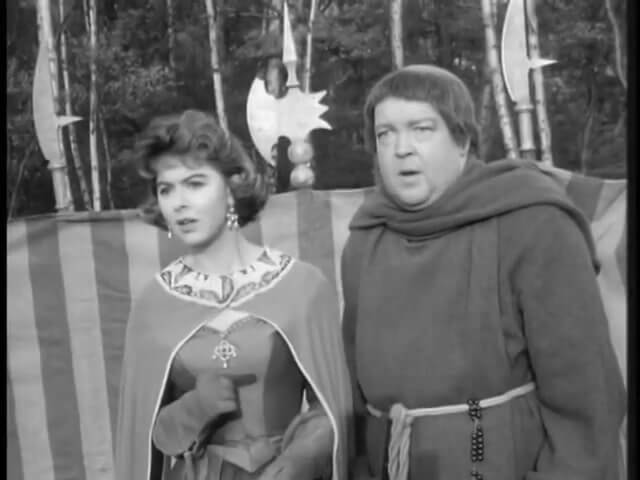 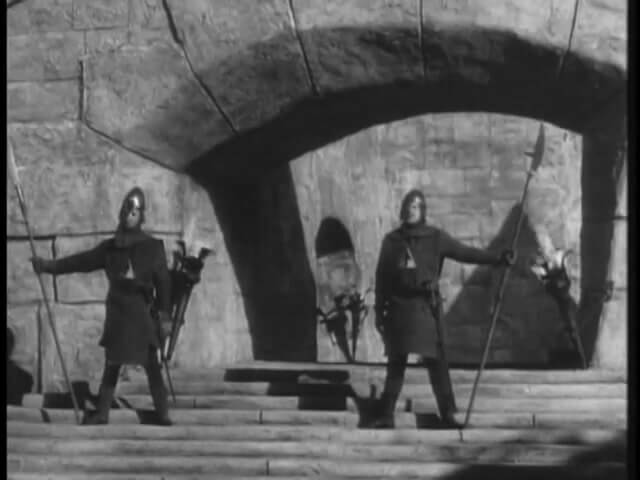 When he hears that Sir Watkyn’s men-at-arms have extorted livestock and wages from the peasants, Frier Tuck turns to the church for help. 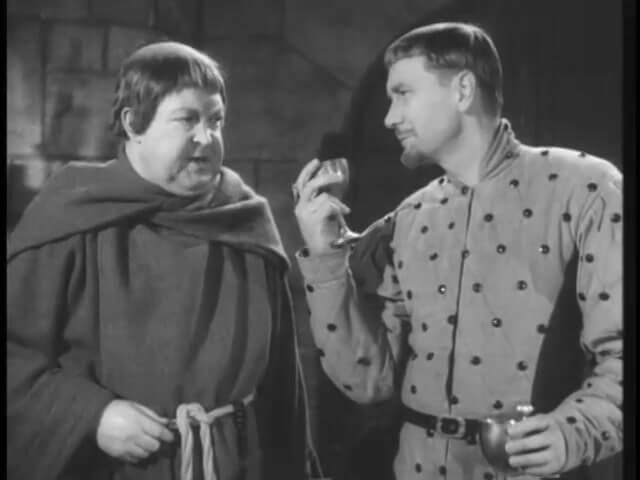 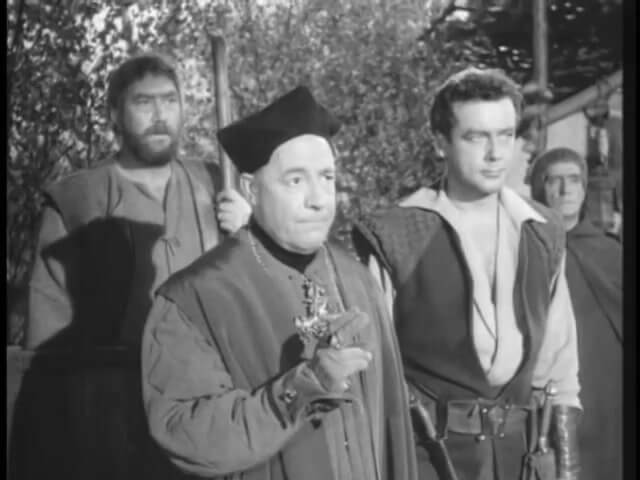 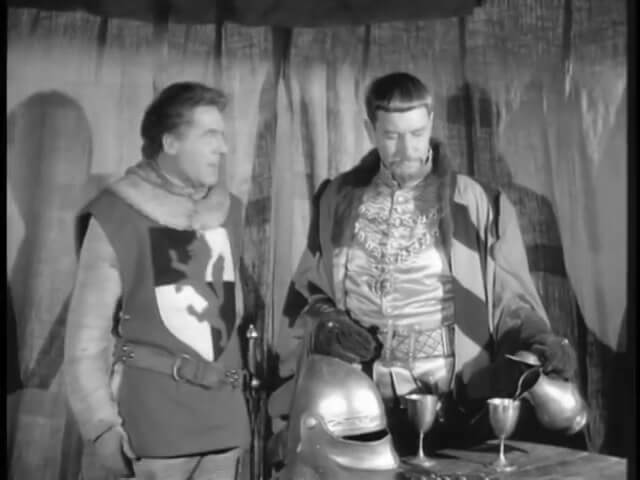 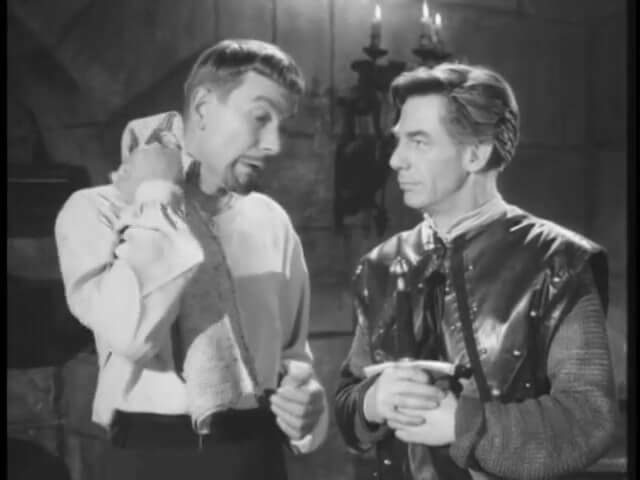 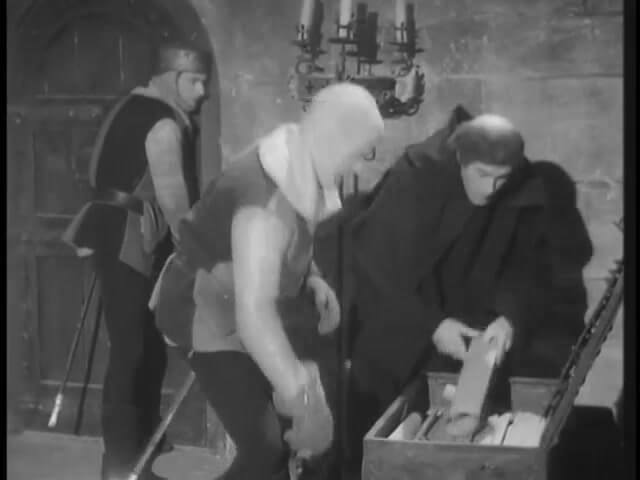 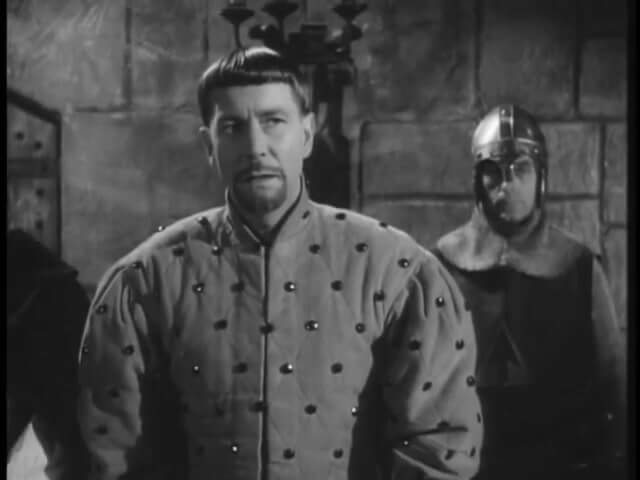 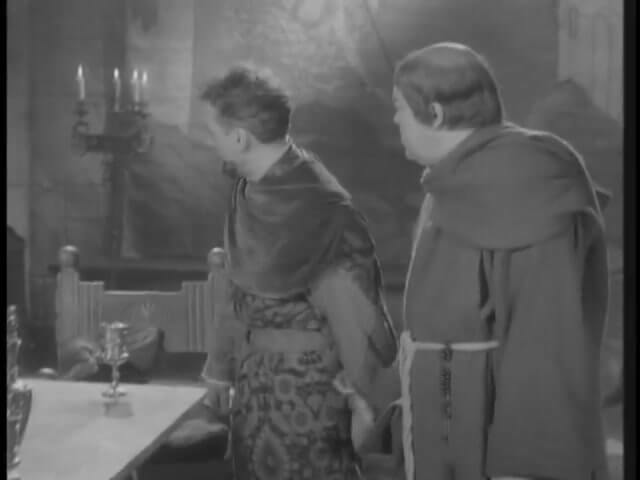 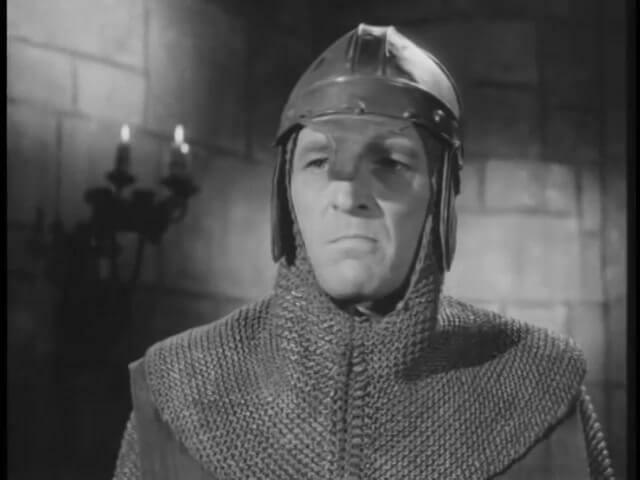 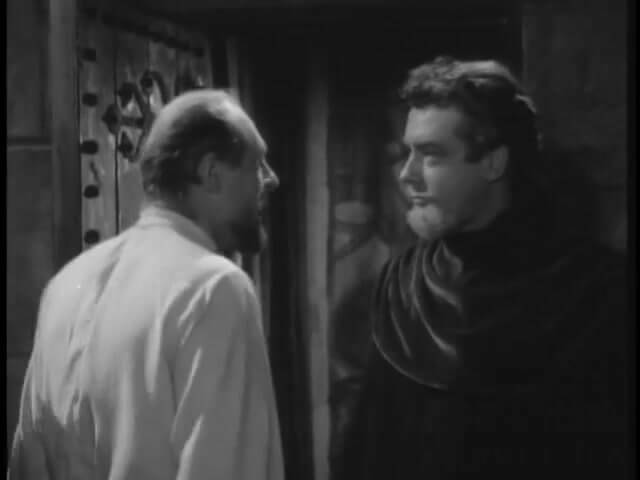 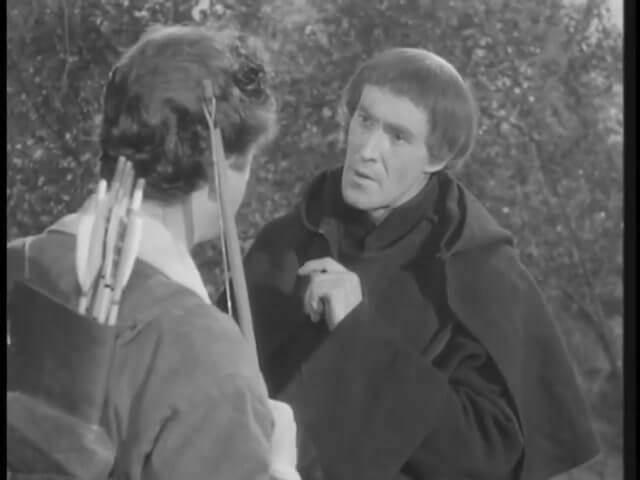 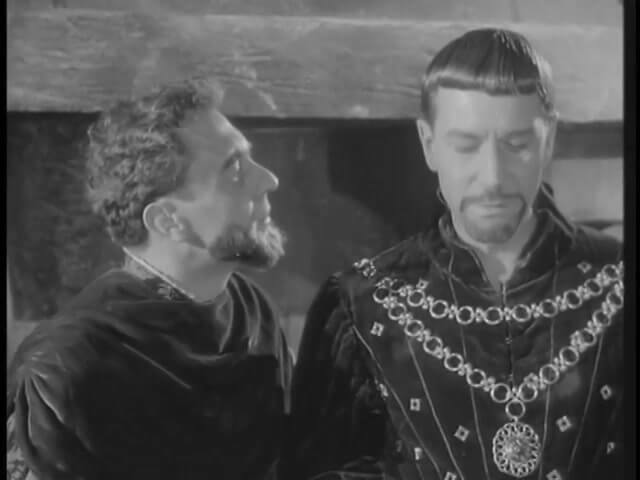 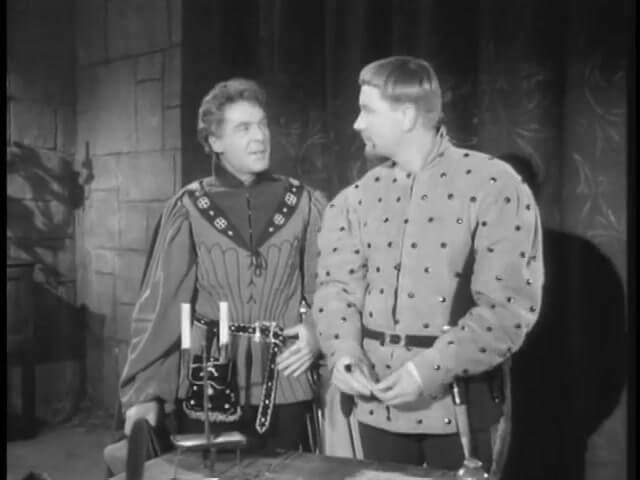 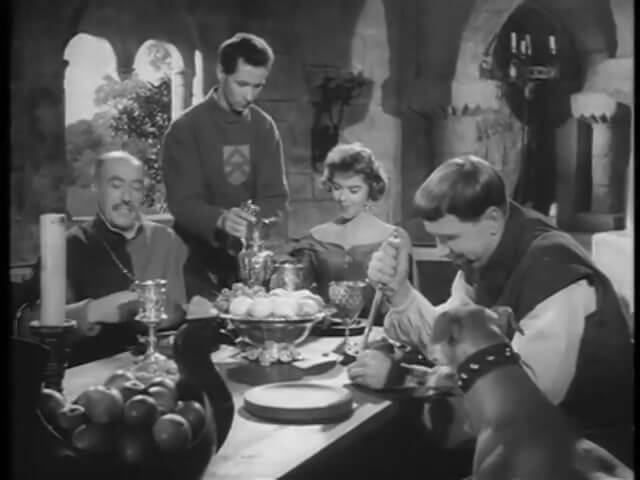 Sir Watkyn has denied the the charge, but Father Ignatius – abetted by Robin – has a solution to the problem. 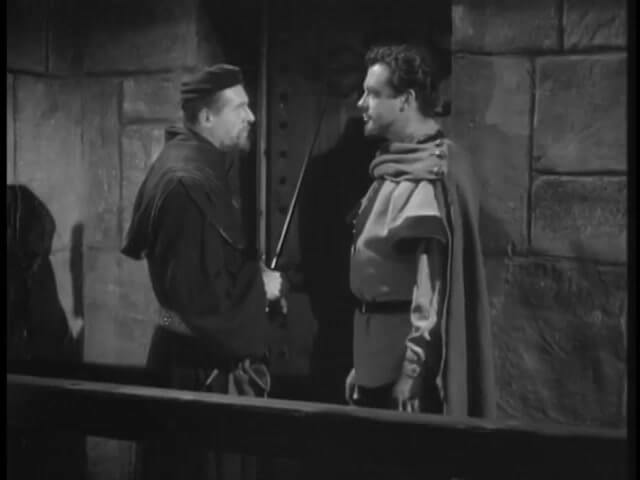 Former Crusader M’Boland decides to make some money by capturing the outlaw leader, and demanding payment from the Sheriff. 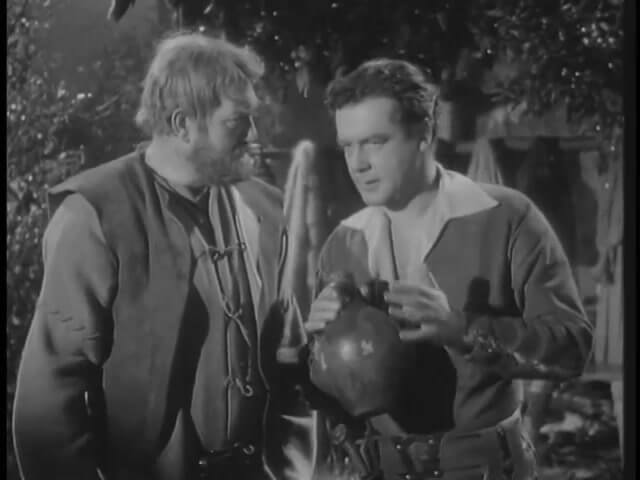 He soon discovers that you must first capture your prey – and Robin has ideas of his own. 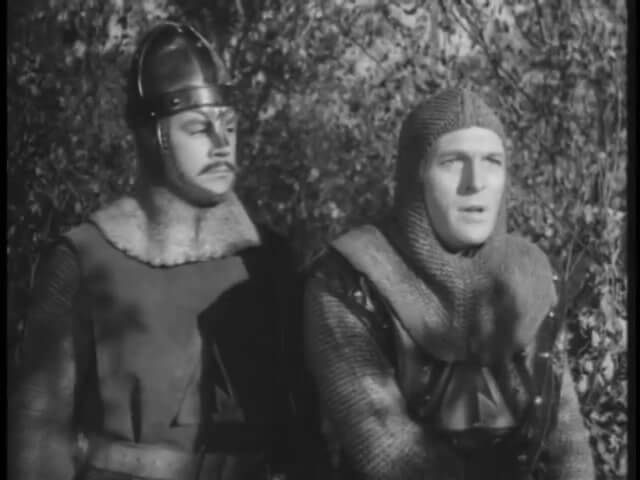 Sir Marmot, a Norman knight, seizes travelers and then places them on trail on trumped up charges. 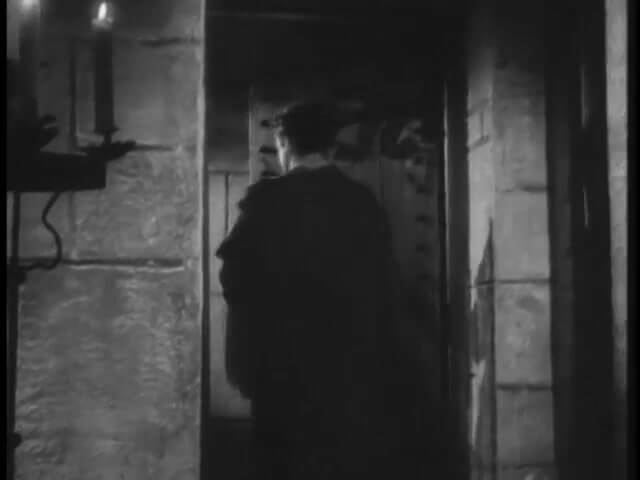 If they refuse to pay the fine he imposes, he sentences them to work on his estate. 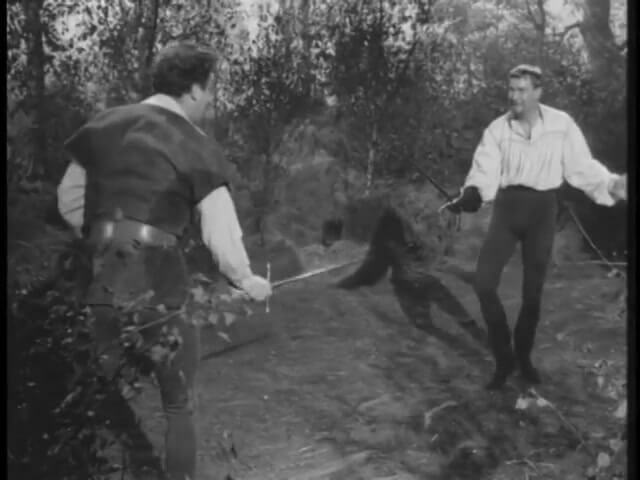 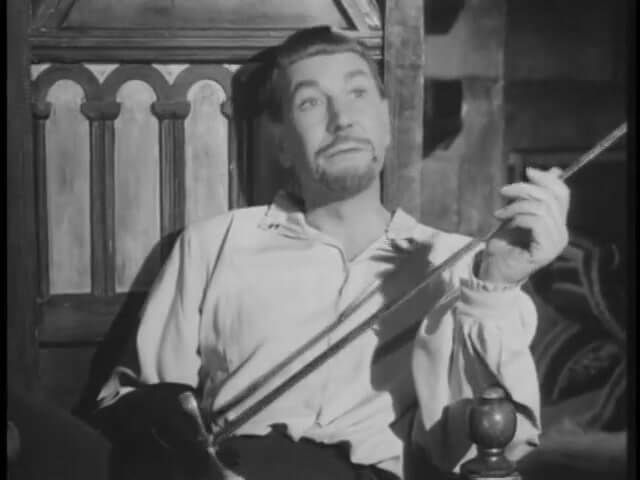 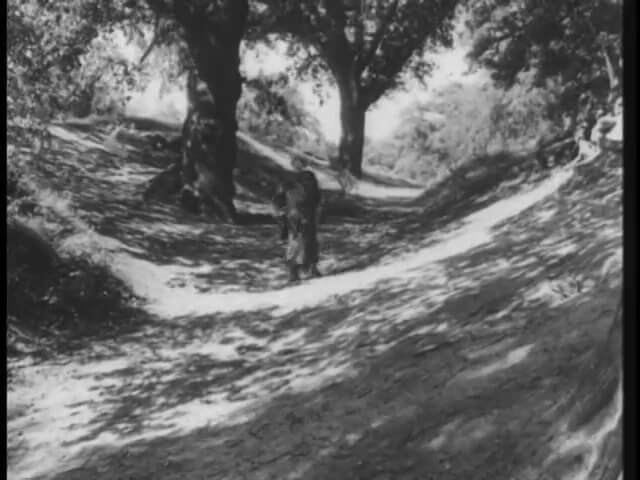 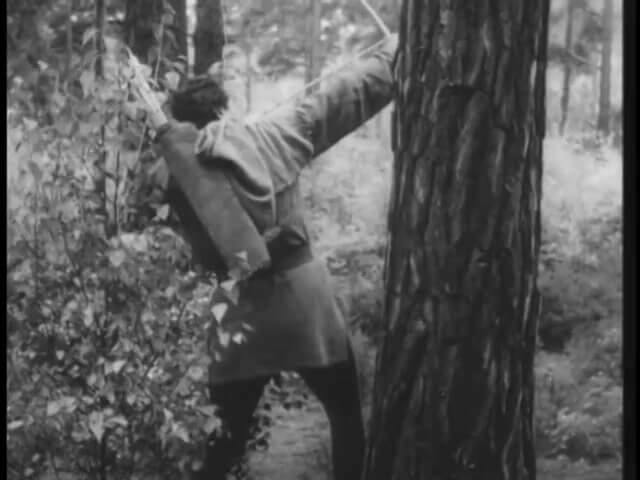 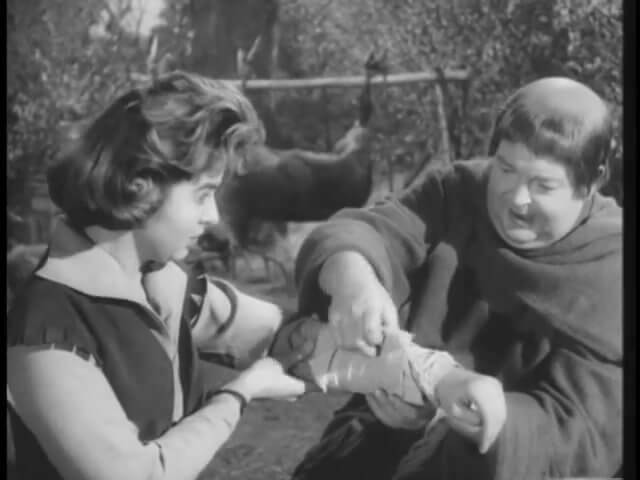 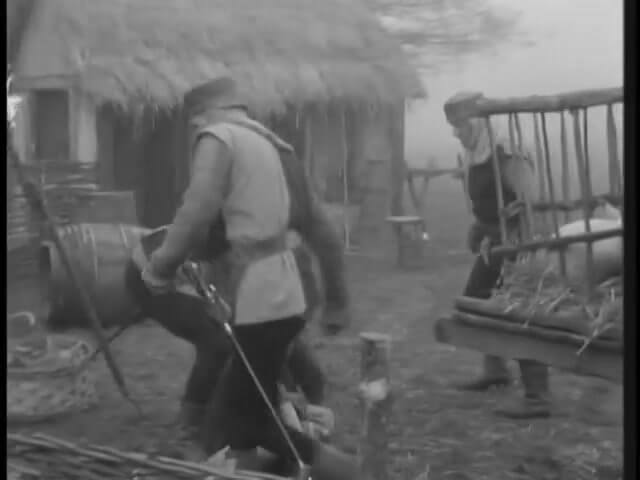 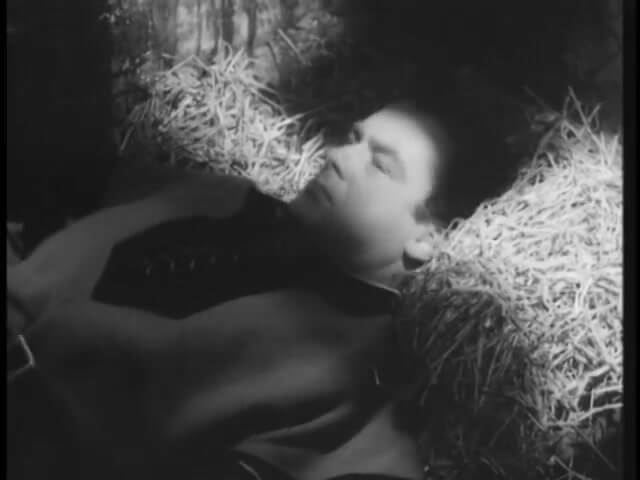 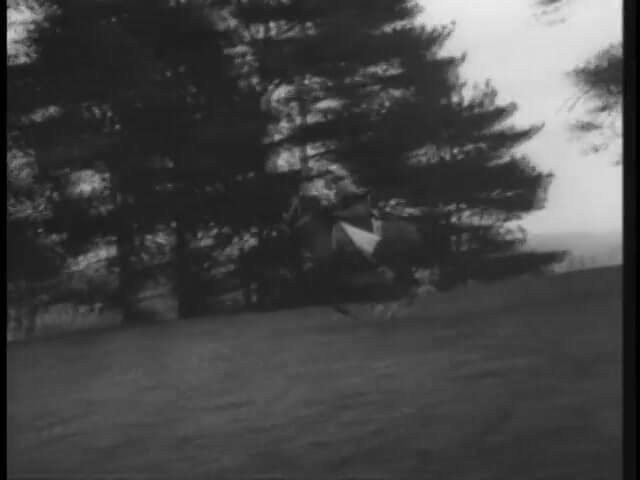 One of his victims is Little John – which proves to be a very costly mistake. 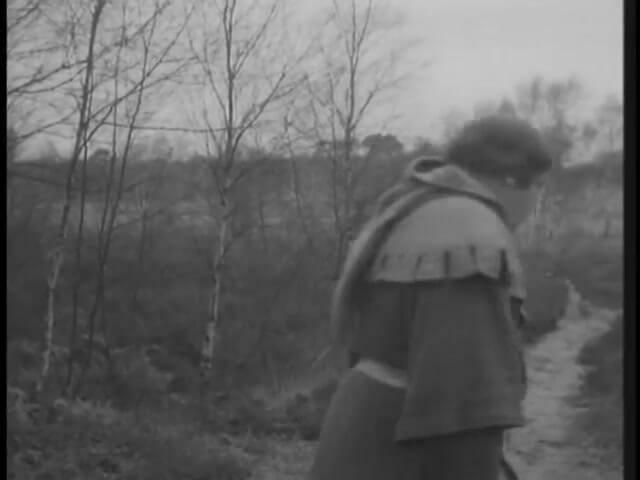 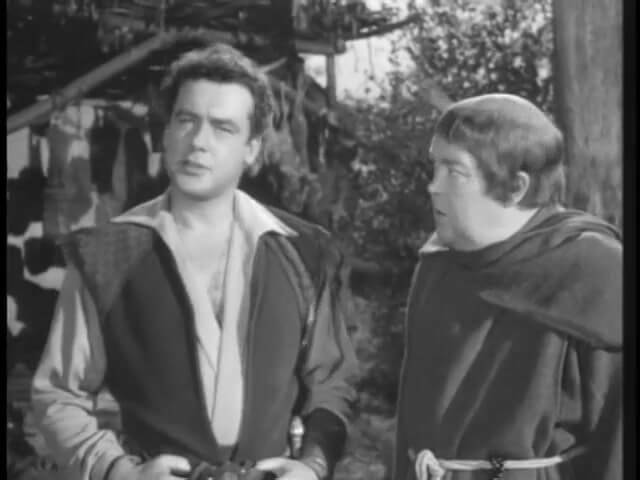 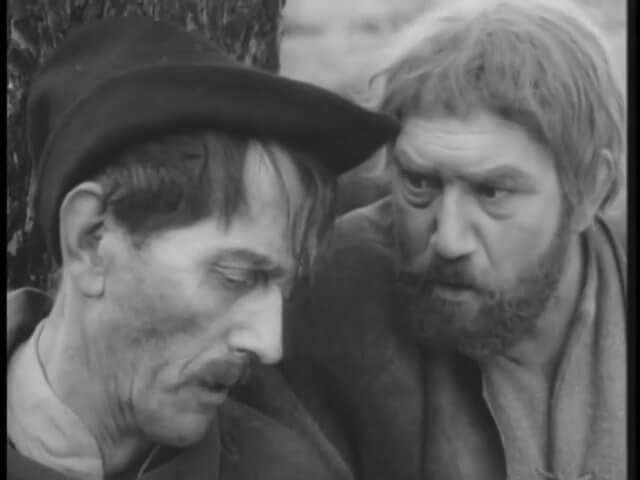 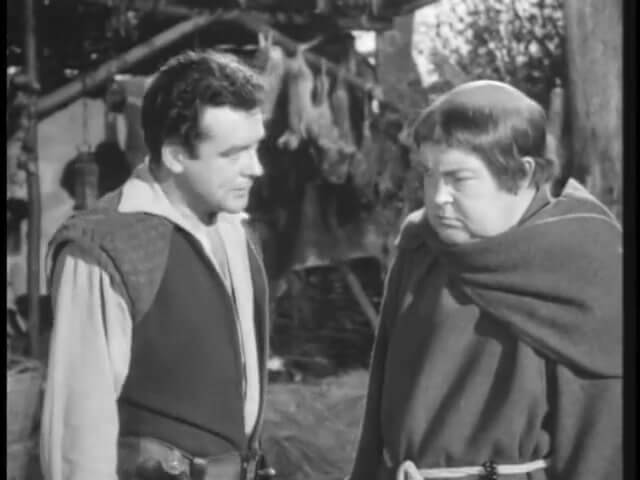 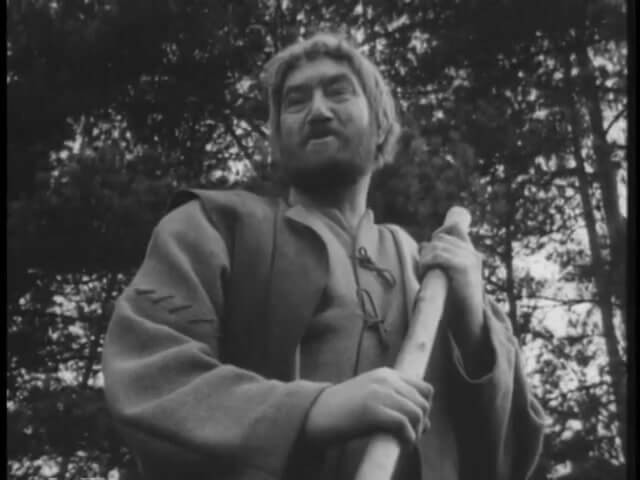 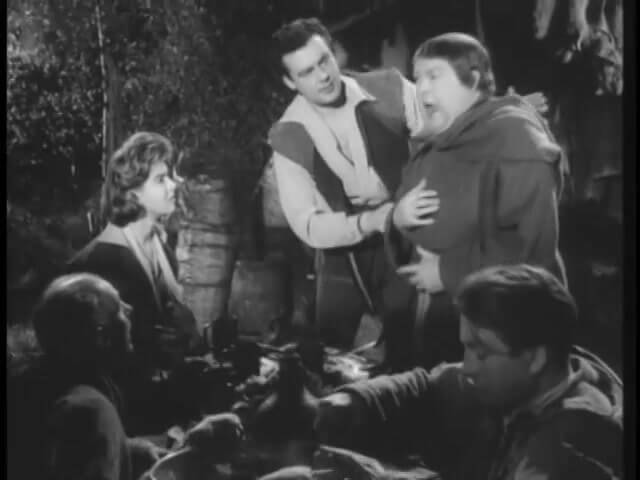 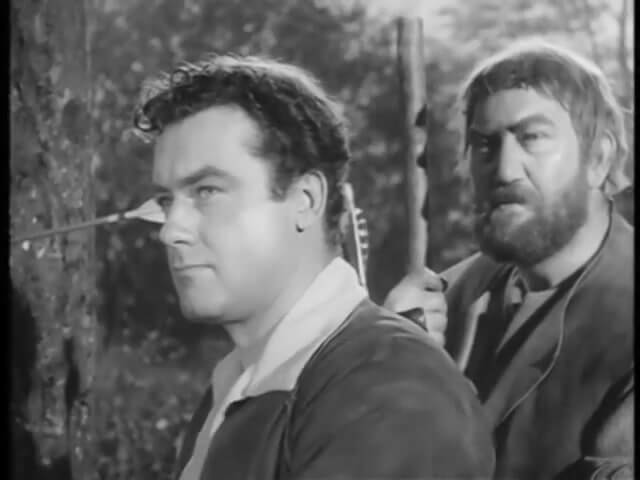 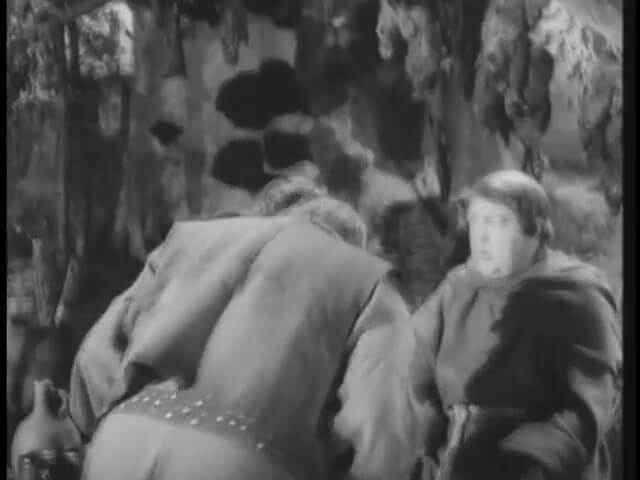 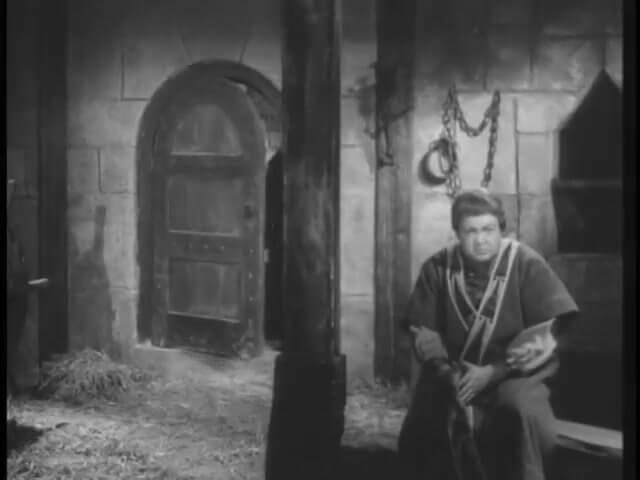 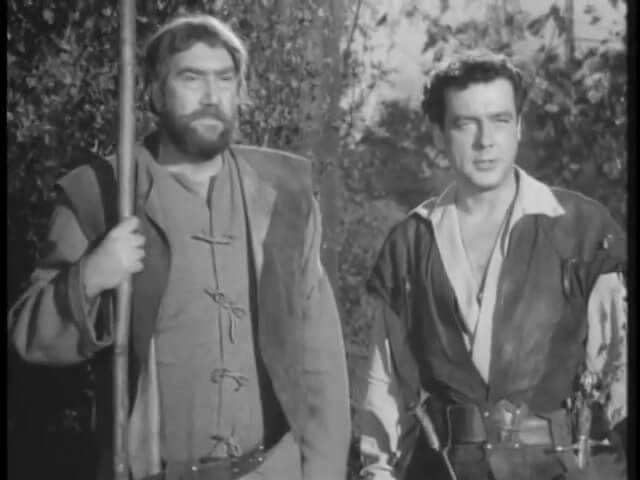 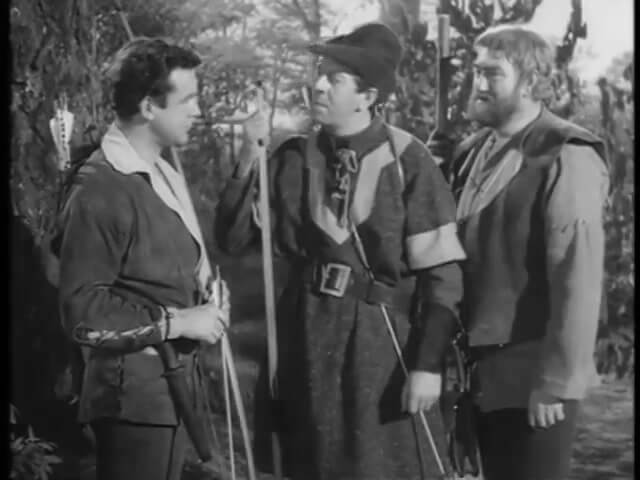 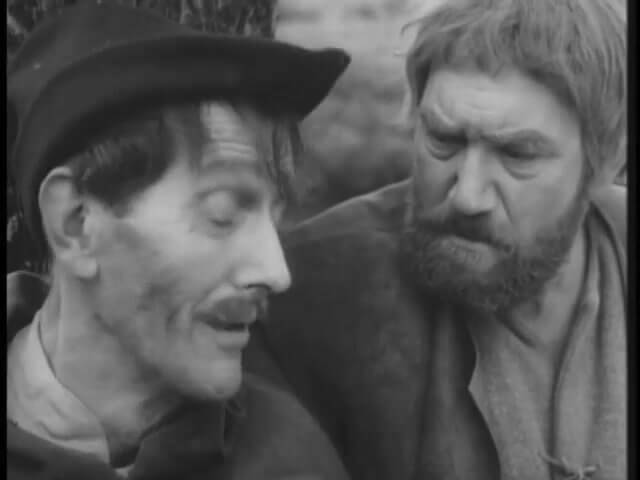 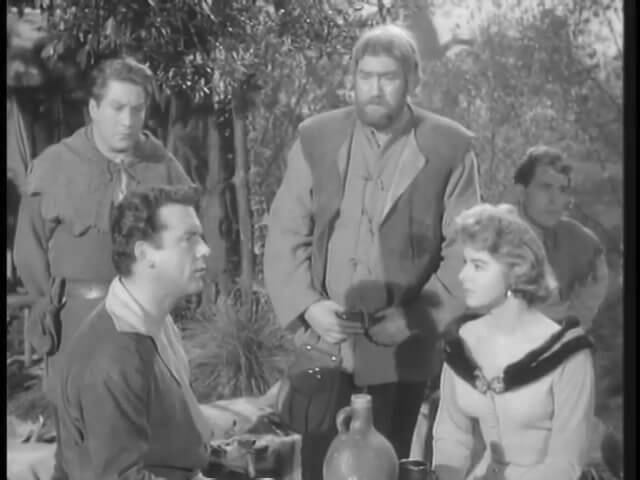 Edgar, Friar Tuck’s identical twin brother, arrives in Nottingham and brings mayhem in his wake: he has agreed to lead the Sheriff to the outlaw camp – little realising that by doing so, he places his brother’s life in peril. 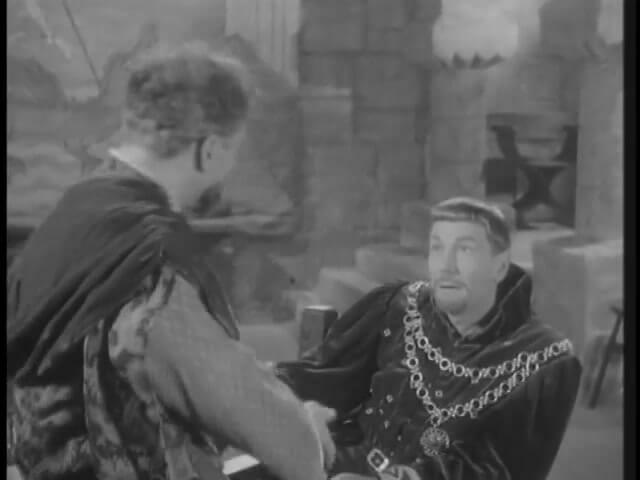 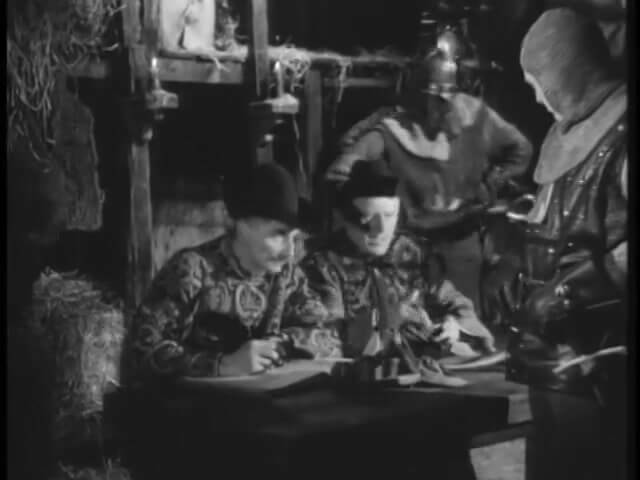 Little John is given three dice - stones by a pedlar, which he claims once belonged to the Ancient Egyptian Kings. 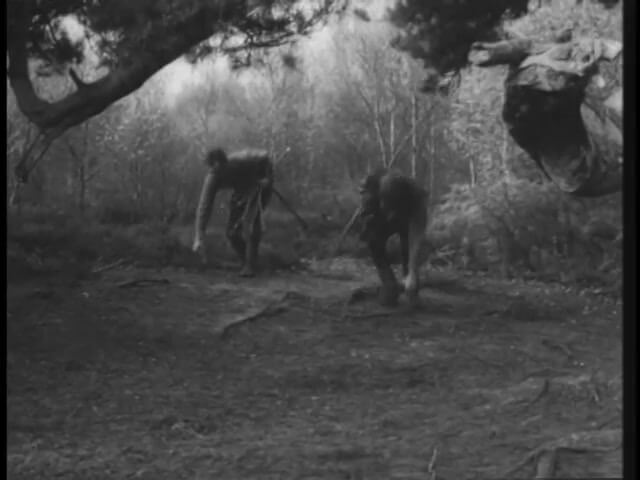 Truth or not, the stones bring more than their fair share of trouble to the Greenwood.